2) TELL US YOUR STORY about how you decided to reach out. If you or your family took one of the $100 bills, we’re praying for you and can’t wait to see what unfolds as you offer a blessing to someone else in the name of Christ and our church. Send your stories to Rev. Ron and we’ll share the good news with others here! LAST YEAR, stories about our Intentional Acts of Kindness Project spread all over the US! In addition to being on the cover of the Capital Gazette on Christmas day (with a full color picture! ), it also appeared in the Baltimore Sun. It was on the front page of the Metro section in the Washington Post the weekend before Christmas and because of that, the story got picked up by the AP and appeared in papers all over the country (LA Times, Chicago Tribune, Charlotte Observer, et al). I guess people love a feel-good story at Christmastime, huh? 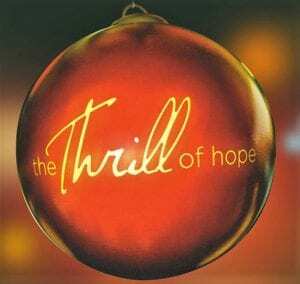 Can’t wait to see how God will inspire people in our congregation to follow Holy Spirit nudges and offer others a Thrill of Hope this Christmas season! As we made multiple mission trips this year I grew to appreciate how blessed and grateful we should be for our church. We have a wonderful congregation and sanctuary to worship in. Our church is open to many organizations including ones that help support recovery programs. When we were in Costa Rica you gained an appreciation for the sacrifice and work that goes into establishing a church. We were especially touched how even this small growing congregation was starting to think about how it could make an impact in the community. Creating a space for meetings for alcohol and drug recovery programs. So we will make our contribution to the Methodist Church in Golfito. This was my first year participating in Intentional Acts of Kindness. I was a bit late to the game last year so I was excited to be a part of the action this Christmas. I was even more excited when I found out I received one of the last $100 envelopes. Once I had the money in my wallet I was a bit nervous and hoped I could find someone in need or a special cause to donate. I became super aware of those around me, as I was constantly scanning for someone who I thought might need help or extra Christmas cheer. A few days before Christmas I was in the local Dollar Store picking up a few materials for my daughters ‘DIY’ projects. She is 13 and loves to make Christmas ornaments and basically do anything with glitter and a glue gun. As I rushed through the store, not for a moment thinking about the amount of $1 items in my cart, I saw a family of four who were shopping for children and grandchildren in their family. Two older women, a grandmother and an aunt, and two younger girls who were either sisters or cousins were counting up items in their cart and calling out how much money they each had to spend. They were a bit short and started counting items in the cart and deciding which items to put back on the shelves, all while still making sure the children had equal gifts to open. I knew in that moment, this family was it. I walked over and pulled out my envelope, I quickly explained what Intentional Acts of Kindness was about and asked if I could help them with their Christmas shopping. The older women looked confused while the two younger girls started smiling wide. I didn’t want to linger so I just handed the money over, said happy holidays, and walked away. As I walked away I heard them talking and the tone in their voices was both surprise and appreciation. They were only about $10 short but I knew this family could use all $100. Participating in Intentional Acts of Kindness this year was incredible. I can’t wait for next year! We have had so much fun today sharing with others. We gave all the employees at a WAWA money then stopped at a bus stop and shared with a couple waiting for the bus, they were so touched. We are trying to multiply what you gave us and it is blessing us so much! Not sure of our next stop but we are on a roll now! Merry Christmas. We decided to split our $100 in three different directions (and added a little to it ourselves). We donated $25 to buy toiletries for the patients (undergoing cancer treatment) and families staying in Hackerman-Patz house at Johns Hopkins. Another $75 went to the Helping Up Mission in Baltimore. And finally, we gave $25 to support the work of 95.1 WRBS for their Christian programming. Thank you for this opportunity! It’s a school founded by a young woman named Miquette Dine McMahon from Haiti who was educated in the US through a Rotary scholarship program. She returned to Haiti and started a school. TeachHaiti now impacts over 440 students in a country with a 53% literacy rate. Miquette is married to a family friend, and I’ve heard her speak at a Bible conference in Ohio – she’s really amazing. My husband and I also added the tithe of our recent work bonuses to the $100. Access to good schooling has always been something we have benefited from, and we want to help make that possible for a few more kids in Haiti. This year I decided to take a hundred bill from the altar. I also decided that I would add a hundred dollars of my own. After praying, I decided to give the money to my cousin. My cousin is a divorced father of 3. He has had a rough time the last few years. His apartment was flooded and destroyed all of his belongings. A short time later he found out that 2 of his 3 children have a rare genetic disease called Batten disease. This nervous system disease causes blindness and seizures and eventually leads to death by the early 20’s. I sent the money to my cousin with a note explaining the intentional acts of kindness. I told him that I hope this money allows him to plan an activity that he and his children can do together to create wonderful memories. My father, gifted me with $100 from Severna Park United Methodist Church’s Intentional Acts of Kindness. This $100 was thoughtfully donated to the nonprofit in which I am the Development Director for, Manna Project International. At Manna Project International, we send college graduates from the United States to our program sites in the developing countries of Nicaragua and Ecuador, where they serve and teach the local communities in health/nutrition, education, and livelihood. Our vision is “Communities Serving Communities,” because even though our volunteers may be teaching these underserved communities, we have found that it is really our volunteers who end up learning the most from these incredible communities. Thank you so much for your incredible donation of $100. For Manna Project International, this amount can go a very long way. $100 can provide 1 year of clean drinking water at either of our sites, it can provide prenatal exams for 10 expectant mothers in Nicaragua, it could pay for 2 months worth of educational supplies at our Community Center in Ecuador, and so much more. Again, thank you so much for your generosity, SPUMC has had a special place in my heart for over 20 years. Our family thought and thought about who we could give the $100 to. 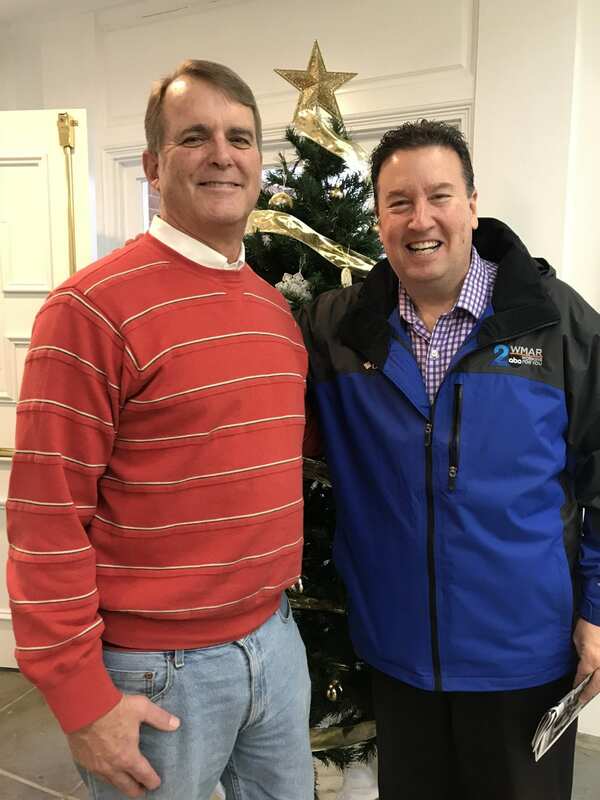 We discussed this time of year being hard on a lot of people financially and how lucky we are to have a great Christmas and good food, year after year. Through a client my husband has known, we met a hard working single mom for approx. 15 years who has had some bad breaks in her life. She works two jobs to make ends meet and unfortunately her housing situation had deteriorated greatly over the past few years. We were able to help get her into a much better home located in a quieter and safer neighborhood. When she opened the card with the $100, she expressed genuine surprise and deep gratitude. The $100 went towards her move which happened on Friday and was the best way we could have given this money away as it went towards opening up a new chapter in a wonderful person’s life who was truly deserving of it. We just want to thank you and our SPUMC family for the opportunity to spread God’s love with this wonderful Intentional Act of Kindness. We used our $100.00 to help a family whose home burned out. The mother, father and teenaged son lost everything in the fire. Luckily no one was injured. Their son has Autism and was the one who discovered the fire. I saw the lady last week and she said they used the money to purchase bedding, towels and a blender. She expressed their gratitude for all of the kindness we had shown them. Apparently they had very little before the fire. We feel so blessed to be able to share with others what God is capable of when we allow Him in our hearts. I truly believe that God provided this opportunity to show His love to others. I used my $100 and an additional contribution to support the work of Keguma Education Center (KEC)- A Village of Hope; Fort Portal, Uganda. It all started when Cynthia’s fellow JAG Corps members felt the need to support a school in Uganda, Africa for girls. She quickly joined up with them to make this happen. I learned that the school had about 200 students both boys and girls. In Uganda females are not allowed to attend school. They are behind the times wasting a precious resource that could change their local world in major ways. The school is called Keguma Education Center KEC – A Village of Hope, Inc. The location in Fort Portal, Uganda is extremely remote and lacking in many services we take for granted from utilities to transportation. It is located on a Ugandan property owned by the Catholic Church and the school is required to pay rent to them. To date this Christian school has only the preschool, first, second and third grades. The fourth grade is being added for the first time this year. Future grades are planned to the eighth grade. Their school year starts in January so these funds will go immediately toward setting up the new incoming fourth grade. A bench desk costing $100 will provide a classroom place for four students. This desk donation will be around for years to come being used by many students as they pass through this grade. The school is striving to become self sufficient by growing vegetables and tending to animals. The plan is to purchase the land and the school as well as to cover the operating expenses. The cost of two teacher’s salaries is about $150 – $200 per month with combined monthly expenses for the whole school at $500 per month. I think about the tremendous impact this school can have on the children who are in attendance. They are not only getting a Christian education but they are also getting support from a group instead of being an orphaned child wondering the streets with no hope in life. We are giving them a future and training them up in the way they should go, grounded and rooted in Christian beliefs and ethics. What a great example of many life lessons along the way for the value of an education, as well as learning how to earn enough to support yourself, treating others with Christian love and respect. With God all things are possible! My only regret in this donation is that I will not get to hug these children and look into their eyes to smile at them. Mission work is more rewarding when you can connect to other people one on one. I learned this visiting a Cape Verde orphanage, in a Costa Rican village, in New Orleans and Crisfield with flood victim families, and with our winter relief guests , as well as when delivering Christmas presents to an Angel tree grand mom who is raising her grandchildren while the parents were incarcerated. What a gift to be Jesus’ hands and feet giving of ourselves to those in need. It brings great joy to my heart. 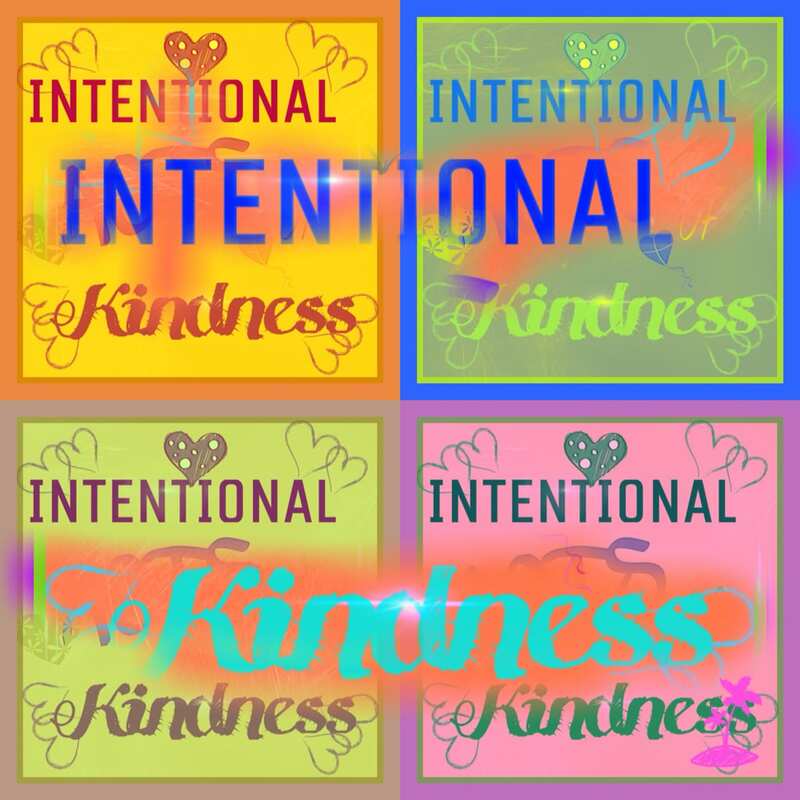 Like so many others wrote in their stories, how could I make an “Intentional Act of Kindness” that came from my heart? As I sat in the pew that Sunday morning trying to figure out whether or not to take an envelope, the answer came to me: I would honor an almost 90-year old veteran in my community. He is the only veteran I know who served in three wars: World War II, Korea and Vietnam. In addition to a 21-year US Army career, retiring as Master Sergeant, he was in government service for another 20 years at Ft. Meade upon his retirement from military service. Shortly before I planned on going to see him, he called me and was very distressed. Someone had tried to scam him by pretending to bring food but wanted him to send money to a third party because he “had won $6.3 million” and then proceeded to badger him later with phone calls. Fortunately, he told the scammer to leave and refused to answer the phone. I was glad that I had something good to bring to him to turn around his bad experience: the $100 gift and a patriotic lap quilt using red, white and blue fabrics to present to him to honor his military and government years of service. As he gently ages, he is suffering from lasting effects of frostbite in Korea and skin cancer from Agent Orange from Vietnam, yet his military bearing and training continues in his everyday life: he stands tall, is very organized, and is a friendly, respectful and caring neighbor. As we talked in a longer conversation than we had ever had together, I discovered he enjoyed writing poetry about family and friends and saw his strong relationship with God. May God bless him. My decision is something I’ve been thinking about for a while. I chose to use the money to start my sponsorship of a little girl from the Dominican Republic through Compassion International. To make it more personal I picked a child who is born on 26th of December, the same day as the first of my close friends to turn 50 this year. Since she has 4 boys I thought a girl would be a nice change. I chose the Dominican Republic because it is not so far away that we might be able to meet her some day. I’ve also been trying to learn Spanish off and on the last year with duo lingo. Brittany turns 5 next week. I hope it is a nice surprise to find out she has a sponsor shortly after her birthday. I attached her picture. Partners In Care came to our rescue this year, because that is what they do. My mother-in-law took ill eventually requiring hospitalization and a stay in rehabilitation. Fortunately, she is now in a stable situation, but uses a wheel chair to get around, which posed a transportation problem for us in terms of getting her Mom to and from many doctor’s appointments. Our only previous experience with this community-based non-profit organization was seeing former Oriole Greg Arnold impersonating Elvis atop their float in Severna Park’s 4th of July parade. He’s married to the Executive Director. That was attention getting, but I’m guessing that like us, many folks don’t really appreciate the extent of the help Partners In Care provide to our seniors until finding themselves in immediate need of their services. Transportation Manager Matt Jermann organizes the Mobility Van program and a volunteer driver corps that helps seniors in wheel chairs and otherwise get where they need to go for a small charge to offset their costs. We know that many folks less fortunate than ourselves rely on this program. We used the Church’s gift augmented by a small amount of our own funds to allow Matt to provide complimentary rides to deserving individuals this Christmas season. We appreciate SPUMC making this gift possible allowing us to return an act of kindness that we received from Partners In Care this year during a challenging time. I was on a bus trip to Cape May, NJ and one morning I had breakfast with my neighbor who was also on the trip. During breakfast she said she had to go to the warehouse as soon as she got home. I started to question her about the warehouse and she told me about the Sharing Foundation that she volunteers with that serves the Anne Arundel County Community since 1992. The Sharing Foundation is a non-profit organization whose purpose is to assist the working needy and special situation families in Anne Arundel County. Eligible families work at a job and do not qualify for government assistance. The Foundation partners with the public school for referrals of the under served working needy families in our county. They rely on the assistance of the local community to help families during challenging times. The children helped range in age from infants through 14. They help get Christmas presents on their wish lists including toys, bikes, board games, books, hats, gloves and school supplies. This year they accepted 542 boys and girls. My neighbor was thrilled and very grateful when I mentioned the $100 that I wanted to give as they were low on money. The donation will go towards toys for their 1 -3 year old girls and came at a perfect time to stock their shelves for the little ones. She thanks us for our generosity and I thank her and our wonderful church for the opportunity to be able to give to this worthy cause. I am so happy to be a part of Severna Park UMC and for God leading us here. Last year we gave our donation (with a match) to Park Elementary School in Brooklyn Park where my husband and I both went to school. We decided to do the same this year because the principal followed up with us about how she used the money to provide food for several needy families. She was so grateful again this year. I would ask that you keep the principal, Sandy Blondell, in your prayers as she is facing a very serious health issue and just recently returned to work on a part time basis. I am not sure of the prognosis, but she has a positive attitude and has put her faith in the Lord and knows the power of prayer. The Brooklyn Park community is so fortunate to have her caring for their children. I happily took that $100 and it took a while to decide. I sent it with a note of our donation program to CASA, which provides legal representation and advocacy to children in the foster care system. At this time, they can only fund and represent 50-60% of the children who require it. This donation may provide 1-2 more children with legal representation and advocacy. Thank you to the sponsors who believe that these small intentional acts of kinds can make a difference in people’s lives. I am certain that this will! I confess that amidst a challenging year, I have been eagerly looking forward to this kindness project all Fall. The opportunity to bless a stranger, and turn my attention away from the chaos of my own life kept my thoughts focused on others rather than myself. I have been the recipient of much kindness (more so than I deserve!) and I was eager to put this generous gift of $100 to good use. So, I’ll stop speaking about myself and report on how the money was used this Christmas season. I had reached out to a friend of mine from college who is a missionary living in Hawaii. They have three small children themselves, and were asked in late October to foster three small children. They said yes to parenting six children ages four and under…now let that sink in. I have been holding them in prayer and helping to support them monetarily monthly, but this seemed like the perfect opportunity to do even more. I was hoping the money could be used to buy these three new babies a Christmas gift, or some other necessity. I reached out to my friend this Sunday to ascertain how I could best get the money to her and her husband. When you have six kids, four and under, it takes time to respond to a message via social media. So, while waiting for her response, another opportunity crossed my path. A close friend of mine was hurting. A childhood friend of hers just lost their daughter at 23 weeks gestation to a rare genetic condition. They learned the news of this when they went for the 20 week ultrasound. This sweet girl was their first child together, and she was expected to be born in the spring. I could not stop thinking about this couple. What do they need right now? How do you work through this grief? What can I do? Then, the answer came to me. Wine and dinner. A couple going through this level of stress needs to reconnect, grieve, attempt to relax, talk. So, I went out and bought several gift cards and a bottle of wine (my friend gave me suggestions of wines they enjoyed). Christmas is a time when much of the world is eagerly expecting the birth of a child. We rejoice at the new life that entered this world as a humble baby. We count down the days until a birth. This couple gave birth much too soon, to a baby who didn’t survive. The timing of all this made the situation sting a little more. However, I was humbled to remember that Jesus often broke bread, drank wine, while ministering to his followers around a table. My hope is that the kindness extended in a bottle of wine, and a nice dinner for a grieving couple will also make room for Jesus. That Christ would accompany a couple on a road marked with pain, but will hopefully make room for new life in the future. Well, I heard back from my friend the day that I delivered the package for the couple. My husband and I gladly stepped in and passed along the donation we promised to buy these foster children some Christmas presents. The kindness just keeps spreading. The love that Jesus tells us about is felt so strongly in actions, specificity, acts of kindness. Acts of kindness without exceptions, expectations, or the need for a thank you. Kindness seen in the birth of a king in a stable, His subsequent death on a cross, and resurrection promising eternal life with Him. Merry Christmas. So this year I was prepared. I had been keeping my eyes open. I have done the research. Our Faith and Racism class has gotten me very passionate about supporting efforts to make a difference in the social justice arena. Here is what I have done with the $100 from the Act of Kindness Project. In addition, I also personally donated to the Dear Nolita Project in Baltimore. http://www.dearnolita.org/ Again, with the social justice theme, this young man lost his mother and father to drugs and the streets but by the grace of God has gotten an education and started this organization to support other youth going through what he did. He himself was in the foster system for years. His mother had 10 kids, the youngest being 2 when she died. He ended up taking the 2 year old half brother and is raising him himself. I can’t imagine dealing with those challenges. I wanted to support his efforts. For the Intentional Acts of Kindness project, we chose to give the money to my brother. He’s had an incredibly tough year dealing with numerous personal and financial burdens following the unfortunate circumstances surrounding the imprisonment of his wife. He’s managing his home and 2 children (1 in college and 1 in high school) on his own as well as dealing with some unexpected medical bills. To top it all off, their family pet died very suddenly a few months ago, adding veterinary bills to his already stressed finances. I’ve wanted to do something for him and his family (in addition to prayers of course) for awhile and because we live several hours apart and, admittedly, do not have the extra funds available ourselves, its been difficult to offer any “tangible” support. Our intentional acts of kindness project at church was a complete God-given opportunity for us to be able to share Christ’s love in a more tangible way. My brother is beyond grateful for the support and extra Christmas cheer and we could not have been more grateful to offer it to him. As a teacher, particularly in a title 1 school, my wifehas observed students needing lunch assistance and with limited options if their accounts become delinquent. We decided to pay as many school lunch debts as possible with the $100 that SPUMC was gracious enough to make available to us. We started with Battle Grove Elementary, where she is a Kindergarten teacher. We didn’t know how far the money would go, but we were able to clear all lunch debts with a little more than a third of the money! With a significant amount left over, we looked to Jacobsville Elementary, where our daughter attends third grade. The other roughly 2/3s of the money went to help many students lunch debts. These acts will allow students to choose from a wider lunch menu and continue making sure that hunger doesn’t negatively impact their learning. It was important to us to spread the love from SPUMC to the communities where we spend so much of our time and energy. Thank you for enabling us to do that.While we, of course, did not interact directly with the students receiving benefit, we did get to share the act with the school cafeteria workers. They were ecstatic! After prayerful thought and consideration, my wife and I decided on giving the one hundred dollars to Central Union Mission. The money will feed 48 homeless people this Christmas. We used to live near their country retreat at Camp Bennett where we helped them with some electrical construction projects at their facilities and feel this will make an impact to the homeless community they serve. Just wanted to let you know that this year my aunt and I decided to use the money from the church plus our own contributions to purchase sanitary items to donate to House of Ruth in Baltimore. I know that these items are always the most needed and often the least donated. We have both discovered a new way to serve in the community by volunteering with Winter Relief. I am always so humbled to serve dinner to and interact with our guests for the week, and equally so to be able to donate such a large quantity of items I often take for granted to people who need them. Thank you and everyone at SPUMC for facilitating this awesome way to give back to our community! When we first began discussing the “Intentional Acts of Kindness” I honestly didn’t jump at the opportunity to participate. There are so many people and causes that I would like to support/assist, especially during this time of year, it was overwhelming to try and choose who/what to donate to. The following Sunday, while $20,000 was passed out from our services I watched others and took a backseat approach, waiting to hear the touching stories that would come from this service. The next day an email went out to the employees at my branch office regarding a family in need that we would be collectively offering assistance to this year. I have attached the family’s story below. Immediately I wished I had chosen to participate in the “Intentional Acts of Kindness.” The following Sunday when you stated that additional funds had come in for this event and you were continuing the donations my heart filled at the opportunity to pass this along to the family. Although I have not met this family, after reading about their struggle and viewing the family Facebook page I was deeply touched by the tenacity of the young man, Ashton, and his equally amazing family. The family has a 13 year old, severely disabled child which prevents mom from working. Dad is a police officer and they also have a 9 year old son. Ashton was born a healthy baby boy!! At 6 months of age he suffered his first stroke. At that time he was diagnosed with a very complex case of multiple diffuse cerebral Arterial Venous Malformations (AVMS). According to the Drs. at Hopkins he is the only case in the country like his. He has faced MANY trials over the years and is frequently hospitalized for seizures and severe nose bleeds. He needs help with everything and uses a wheelchair the majority of the time. In 2013, he almost died as he drowned in his own blood from a pseudo aneurysm hemorrhage in the sinus cavity. He was hospitalized for 7 weeks and required many more months of rehabilitation. In 2015 he suffered what we think is a seizure and he slept for 9 days. When he woke he had right sided weakness and recovery was very similar to a person that suffered a stroke. He was hospitalized for 10 weeks at that time with again many more months of rehabilitation at home. In July of this year after months of planning and appointments with many doctors, Ashton underwent a risky spinal fusion. It was something we were terrified to do but knew that without it he could possibly die if he were ever to get pneumonia as his lungs were being crushed. While the surgery went perfect he suffered seizures which slowed down recovery and then about 2 months later (this October) was hospitalized for 10 days with pneumonia (thank God he had spinal fusion). He has been healthy for about 4 weeks now and is beginning to regain his strength!!! Ashton’s nickname is the comeback kid & he faces all his trials like a champ!! He also has a 9 year old brother named Jonah who is quite the ham and likes to make Ashton laugh!! We are so grateful that you are willing to help our family during this special time of year!! I would like to thank you personally, Severna Park United Methodist Church, and the anonymous donors of this program for the opportunity to share with this family not only financially but through the gift of Christianity. I will continue to pray for this family, especially Ashton, and I am sure you will too. Thanks in advance for your thoughts and prayers. I work in downtown Baltimore, and often go for a walk around the harbor at lunchtime. When I do, I always pass people sitting on the sidewalk or sheltered in a doorway, holding cardboard signs: “Homeless. Hungry. No family. Nothing to eat. Anything helps.” I often give out a dollar here or a handful of change there, but I’m mindful of how little difference it must make, and how I wish I could do more. I’d picked up an envelope at the beginning of advent and began praying for direction. As I was driving home from work that evening, inspiration came to me. The next morning I stopped by the grocery store on my work, to see just how far $100 could go. I went to work with a case of water, a loaf of whole grain bread, club-size jars of peanut butter and jelly, a package of ziploc bags and brown paper sandwich bags, paper napkins, and a bag of clementines. I took them into the kitchen area at work and set up my small assembly line. Within minutes, the first four bag lunches were assembled: sandwiches, fruit, water bottles and all. I could hardly wait to get out the door for my afternoon walk. Each of these moments is so small by itself. It’s just a paper lunch bag and a smile. A conversation and a handshake in the rain. Of course it didn’t take $100 to make four lunches, or the dozen that followed that, or the dozens more that I’ll hand out in the weeks to come. But that $100 was the seed money that’s started something new. I don’t get a chance to walk every day. But every day that I do, I carry a tote bag with 4 sack lunches: a bottle of water, fruit, PBJ. don’t know who I’ll meet each day, or on which stretches of the harbor walk I’ll run into them. But each walk, and each bag lunch, brings the possibility of a moment of hope and human connection. In just a few weeks, my coworkers have grown accustomed to seeing my bag lunch assembly line in our break room. A couple of them have offered to walk around with me. And I think I know why: Each one of these walks brings with it the anticipation and excitement of Christmas. Each time I step through my office building door, I’m offering this effort into God’s hands, knowing that it isn’t up to me who I’ll get to meet that day, or whether we’ll have a conversation, or whether it’ll just be a handoff. (Today, for the first time, I just dropped off a lunch bag with a note, next to a sleeping bag. I’m pretty sure the man who lives on that corner of the park will be back; I can see his sleeping place from the windows in the upper floor of my office building, and I’ve gotten in the habit of looking out for him, to see if he’s there.) I never know in advance whether the people who receive the lunches will want to talk, and I never ask anyone for their story; how they got where they are is none of my business, unless they want to tell me. Just today, I was talking to Jeremy (I’ve talked to him a couple of times now). I said something like, “It’s the same lunch as the other day.” I suppose I sounded apologetic. He answered, “I love that it’s homemade! It reminds me of something my mom would do.” Truth be told, I’m probably old enough to be Jeremy’s mom. I don’t know if he’ll make it back to Shipley’s Choice. But I sure was glad to offer him a handmade meal. I really wanted to find a big grand gesture for this year’s $100, To be honest, I feel a little bit like maybe I’ve fallen short because I didn’t. On the other hand, these bag lunches feel to me like the spirit of Christmas. Of showing up for serendipity, of answering the call to be kind to each other. I know these bag lunches can’t transform someone else’ life. But they seem to be transforming mine. And they might make it a little easier for one person to get through one day. So I’ll keep stepping out with my tote bag, four lunches at a time, hoping for a chance to see God show up and spark a moment of comfort and joy. Throughout this holiday season, I kept my eyes open for areas of need. I contributed in small ways — a toy for Toys for Tots, a clothes donation, and gathering food for the food pantry. But when I learned of a very sad event from the director of my my son’s preschool, I knew that blessing this family would be my way to share the $100 and God’s love. A four-year-old at the preschool lost his mother in a car accident in late November. I know the holidays this year and many other events in the future will be difficult for this young child. I contributed the $100 to a fund established for the child’s education and hope it will make his life a little easier. Several years ago, I met Diane (not her real name). I have been so blessed to get to know her. She lives a humble, selfless life always putting God and others first. Her home is always full of love and laughter. Diane is a single mom who has raised two wonderful Christian girls. She has also been a foster mom to destitute teenage girls for 35 years. When you ask Diane’s mom, Nana, how many grandchildren she has – her response is 75! Every teenager who has been part of their home has a place in Nana’s heart and is considered family. How awesome is that! Currently, Diane has two teenage mothers living with her along with their babies. So my gift went to them. Diane was elated to receive such a generous gift and it will be used to make Christmas special for two young moms and their children. I am so grateful for my church home, our pastors and those who have made this ministry possible. It not only touched Diane’s life, the lives of two young mothers, and I am sure the lives of many others in need. This past Sunday I had the pleasure of giving away my $100 bill. A co-worker of mine had been talking to me casually about her struggles, in the past, with various issues such as domestic violence. Over time, I have gotten to know more about her, her kids, and her extended family. And with this information I have realized that it must be difficult to be a single mother, providing for all three of her children. Her past has affected her and her family forever, and I knew that through this special gift, it would bring a special light to her holidays. Right before I handed her the envelope she told me how her son had given an Uber driver a large sum of money once, when he knew the driver could’ve used it. She told me of the feeling her son had in the days following that random act of kindness. She exclaimed “He was on fire for God.” In turn, I discussed my journey through SPUMC and how through studying of the bible, I had developed the motto “Live Like That”. To live like that is to follow the word of God, demonstrating the ultimate way of living through your attitude and the actions you take. Finally, she explained to me that through all of her struggles in life, she always knew she could come back to God to guide her to the light. Providing for her family and others was of the utmost importance. I was extremely inspired as I reflected upon both of our experiences. I suddenly realized how alike we were in that at the end of the day, nothing else mattered but our continued passion for “Living Like That.” And with that, she was the perfect recipient of my Intentional Act of Kindness. I passed along my Intentional Act of Kindness to Corkran Middle School. With the money, they were able to purchase 38 new binders for their middle school students. The school passed on their deep thanks because this allows them to give these binders directly to students in need, creating access to stay organized to all students. And everyone know that having a binder in good working condition is paramount to students success in Middle School! I took the $100 envelope not knowing how I might use it for a random act of kindness. There are so many worthy causes both locally and abroad. I thought about it for several days, said a prayer and waited for a nudge/opportunity to present itself. I was in the grocery store doing my normal shopping and then proceeded to the checkout lines. The thought came over me that the persons waiting behind me could benefit from such a gift, so I gave the $100 to the clerk explaining that it was to go toward the purchase of their groceries. When the purchase was completed, the little lady, whom I had never seen before, came over and thanked me. I could see in her eyes that she was very touched by the gift. I am confident that the Lord will use that encounter in her life going forward to reach out to another or perhaps many others. This is our first Christmas together as a married couple and we were really happy to be part of Intentional Acts of Kindness together. My wife and I used our $100 to help feed children who are hungry in Yemen as a result of the war. We donated to Save the Children, who will use the funds to provide food and nutrition to malnourished children, medical supplies to help combat disease, and to support their child-friendly spaces in the region. Upon taking the $100, I began praying to God to guide me in finding the right person or place to bless with such a gift. After much listening and looking, I was nudged. In the course of a week, I received two donation requests from St. Jude’s Childrens Research Hospital. On TV, I saw Marlo Thomas several nights in a row making her plea for this cause. I’ve never before given to this, but I was definitely moved this year. So I wrote a donation check to this wonderful place where children can be helped and their parents accommodated free from bills which come with most medical care. As a three time cancer survivor, I know the treatment many of these children have to endure. I can’t imagine, as a parent, being told that your child has cancer. I pray that someday there will be no cancer for anyone. I’m happy to have sent them the money which will go towards helping many. Thank you SPUMC for such a privilege and blessing. Today, every child in my classroom spent 30 minutes laughing at, well, I don’t even know what. I don’t think they knew either. Perhaps they know that the third week of Advent is for Joy. Or maybe they see that we’re inching closer and closer to the Christmas tree on the calendar. Most likely, it’s just all the twinkly lights, spinning dreidels, and lyrics to “Feliz Navidad” dancing in their precious four-year-old heads. Nevertheless, they were able to sing along to “Try A Little Kindness.” Then, with guidance and support, they decided that today’s act of kindness should be to listen and stay calm (taken from the song). With only three days until winter break, I’ve decided to join their playful spirit, be thankful they have it, and pray they’ll be able to experience some of that joy while they’re home for 11 days. Being a teacher in a Title I school, My gut instinct was to give the $100 to our social worker to help a family in need. But would that be intentional enough? Would God rather me try to think outside the box? And how could I ever choose just one family in a school where at least 70 kids are getting food assistance on the weekends? After my first attempt to try something outside of school didn’t work out (because someone else had stepped in to meet the need ♥️), I decided to talk to our school social worker, still concerned that I was taking an “easy way out.” A few days later she approached me about helping the family of one of my students; their situation had recently gone from bad to worse. Since I know and love him well, I said that I would like to do the shopping myself. Joy became both a gift and a choice for me this week. Not having my own children yet, I was so happy to have the opportunity to pick out toys that I thought he would enjoy and marvel over the cuteness of tiny infant clothes. Who initiated the random laugh fest this morning? It happened to the little guy that was chosen for me, who happens to be stealing a few extra snuggles as I type. I pray that he will always lead joy and laughter. I pray that his friends will always follow suit. I pray that their current and future teachers will remember to delight in their inexplicable joy. I thank God for that inexplicable joy that overtook my classroom this morning. And I thank God for the generosity that allowed me the privilege to invest in their future joy. Heaven is full of the music of angel choirs, and so is the choir loft of SPUMC. Just to be a part of the music of SPark has blessed me beyond measure. About a month ago I received two separate “blessings” for me and my kids at school from members of the music ministry, leading me to believe in (and be grateful for) “choir angels,” though I didn’t know who they were. Last week, I got another “choir angel” blessing inside a Christmas card. It was placed in my bag at rehearsal. I was amazed the next morning when I opened the card and found an “intentional Acts of Kindness” envelope along with a message saying that my choir angel had matched the donation inside so that to provide as needed for our students. Such a huge blessing deserves to be shared. After talking to the other members of my team, it was decided that we would budget the money get gloves, books, and snacks for all 45 of our little learners. This has turned out to be the gift that just keeps giving. Upon seeing my cart-full of colorful kids gloves, the gentleman in front of me wished me a Merry Christmas and gave me his coupon so that the gloves that were already on sale cost even less. This meant we would have a little extra for the books that also turned out to be on sale. So now, we have extra funds for snacks (they love clementine oranges) as well as some left over for the emergencies our littles sometimes face. Thank God for sales, coupons, and choir angels. One of my teammates shared the story of our “choir angel” blessing with a family member that now wishes to donate! I gave the $100 to my coworker at the YMCA on Sunday. I was so excited to be able to help her and her reaction was amazing. I explained my church was handing out $100 bills to people that could use them. I suggested it could help her pay rent or buy groceries since she is living on her own at 18 years old. Her face had the biggest smile and her voice sounded so high pitched and happy! She told all the other coworkers what I had done and they all thought it was very cool. Thank you for giving me the opportunity to help my friend. My $100 was used to buy oil for a 78-year-old Millersville man who lives alone and had run out of oil and was living in the cold. He came to SPAN looking for assistance, and he needed not only oil, but help with purchasing insulin for his diabetes and also food. SPAN paid for his insulin and gave him food, and I paid for his oil with the $100 from SPUMC. He cried tears of gratitude! First, let me say that I have never have been as intentional over the donation of $100 as I have over giving away someone else’s money. I was very thoughtful as I wanted to ensure it was a hand up and not necessarily a hand out. I met a woman whose business with her husband had failed, and then he had died a few months ago and she had no savings. She took a position in a company that is steady work but not one of the higher paying jobs. However, if she is able to study to become a certified pharmacy technician, she would be able to increase her income 15% to 20%. The study aids were free but the test is not. So, I matched the donation and gave it to her so that she would be able to take the test and improve her income. I let her know that it was a gift from both SPUMC and myself. What a wonderful feeling I have from making a difference in someone else’s life! A few days after receiving the $100. I was thinking of a very kind and hardworking young waitress at a small place we go called The Brown Box. So when I was there recently, I asked her about her goals and plans. She told me she’s planning to become a sign language interpreter and working to save money to go to college. That’s all I needed. I knew it was a good fit to share with her. After I gave the $100 to her and explained it, she was very touched and came around front to give me a hug and thanked us again as I left. I’m so glad we could bless her. Last Sunday my husband and I came back from church after receiving the $100 and pondered who we should give this money to. We had no ideas and decided to table the conversation until the following day. I said a quick prayer and just said help us. That was it! That evening I was scrolling through FB and came across a friend’s post. I went to high school with her and she is from Ohio. They have 4 children and live in the Columbus area. Her faith in the Lord has always been so strong and fierce and she NEVER complains! She is always positive and says trust in the Lord. She never has a mean word to say to anyone she is such a light in this world. So her post took me off guard. She quickly followed up with the second post which made me realize we all have things to be thankful for. As I read her post a voice said to me send her the money. I ran downstairs and said to my husband this is who we need to send the money to. The next day I bought an angel ornament wrote her a card describing how some generous donors had given our church $20,000 and had asked us to use the money of Intentional Acts of Kindness. I told her I read her post and I heard a voice say it should go to her. I told her I choose to follow his guidance and can’t take any credit. I was just in the right place at the right time. Well the rest is history as they say lol. You will see the correspondence that is attached. Please let the donor know they made a huge impact both to her and to my family. I pondered what to do with my crisp $100 bill this year. I read about a local homeless man that refuses “shelter” assistance and is a regular customer at the McDonald’s by the Exxon station. Due to the upcoming winter weather, I decided to do something that would be helpful for him. His name is “Moose” and he has been around Severna Park for many years. I doubled the money and bought him a winter coat, a pair of cold weather bibs and some warm gloves. I hope that he stays a bit warmer this year with the new outdoor winter gear. Our church is so wonderful and I am so thankful for all the church gives back to the community and to me! I t took us awhile to come up with something we wanted to do but then a flyer came home from school and we had our decision. Thanks for the funds from church (and a little from the family Christmas fund) we were able to supply Windsor Farm Elementary School with 22 new books. We even ran into a lady at Barnes & Noble whose sister-in-law attends our church and she was very happy that we had used the funds to help pass on the gift of reading. Thank you and keep up the good work. I am so glad my kids are growing up in a church where service to others is such a large part of the teaching. What a great gift it is to be able to give to someone who is not expecting such a nice gesture. I gave my $100 to a coworker who had recently told me she was having a very stressful time in her life with one of those burdens being financial troubles. She was so grateful. Thank you to those generous donors for the opportunity to give like this. My story started at the Christmas Tea, using dishes given by a friend many years ago. Thinking of her again the next day as I visited VA, I was prompted to call and check on her. She has several health issues from the many years of long hours caring for others at the Christian Outreach she started. She had run a thrift store that used the profits to pay for electric bills, rent, and they supplied Christmas decorations and furniture to those who were the victims of house fires or hard times. She had a network of volunteers, where she matched a need with the volunteer and through the years many needy families were provided gifts for their children thru the local businesses with her being the organizer. I was sad to find that she left Virginia with mostly only her teenage son, living in Maryland where her senior son has now excelled in high school. She is unable to work, has mounting health costs, no vehicle, and lives with family. The following Sunday, I was eager to receive the $100, my heart ached for her. I decided to tell her about our intentional Acts of Kindness when I delivered it in person, making a date to take her to lunch following Tuesday. She was so sick, she had to cancel, therefore I told her about it on phone and told her I would mail it, between tears, she told me she would use it to put towards her car fund. To be able to give her a little hope, after all the families she helped in rain and snow, working in steaming hot, and freezing cold trailers and pain, was incredible. I too, am so proud to be a part of this church and all the wonderful people here that really care and show it. I have a former coworker who is a very good friend. She is such a giving person and is always thinking of others. She’s a single mom with a daughter with Downs Syndrome, and times have been especially hard for her since her husband is no longer around to help. I gave her the $100 and matched it with my own $100. She told me she had just prayed that morning for God to take control of her desperate situation. This was truly God speaking to her, letting her know He’s in control. I thank God for the generosity of all those who are spreading God’s love this season. Last Monday I was speaking with one of my friends about our Advent and Christmas Eve services. Her church is smaller than SPUMC and she mentioned that in the service the previous Sunday that one of the older members stood up and asked if the church could help his son and daughter- in-law who would be evicted if they did not make a rent payment. He cried in the service. The church is helping with their rent. I told her that I could help them too and gave her my $100 with a note card that I just wrote “Thinking of both of you and praying that things will get better”. My friend cried too and then I did too. When our unborn child was diagnosed with a rare and life-threatening congenital heart defect years ago, our world was shattered in an instant. We were told that he would be born only to suffer and die within the first year of his life. But God had other plans for our son, and when he was born he did suffer. He endured three open-heart surgeries, the first when he was only two weeks old. He suffered, but he did not die. He is thirteen years old now. He is a walking, talking miracle and testament to God’s grace. He plays the violin, gets excellent grades, demonstrates kindness toward others, and serves as a beacon of hope to others with his same special heart. When my son received the $100 bill with instructions to commit an intentional act of kindness, he thought about helping others like him. Many families of children with congenital heart defects suffer not only emotionally, but financially, enduring repeated hospitalizations, surgeries, and trips to the ER. And so, with this in mind, he sought advice from his own pediatric cardiologist. His doctor suggested we help a family walking a similar path to our own. A family with an older heart child and a younger healthy-heart child who had recently been hospitalized at Johns Hopkins. With great joy and quite a bit of seriousness, hey took the list he was given from our pediatric cardiologist and tackled the shopping task. With a little extra from us, we were able to get all of the toys on the list and two full outfits for each child. My son was proud and happy to have been part of this wonderful experience. And I feel such warmth knowing that those children will have a nice Christmas. I put the anonymous money in a Christmas card and left it in my neighbor’s mailbox. She is 33 years old, she attended all special ed classes and graduated from a high school in our community. I’m not sure what her disability is, but know that she been living in an isolated environment from others her age. She doesn’t appear to have any friends other than extended family. I have watched her grow up. She lives with her parents in a dysfunctional home setting. Her mom is severely depressed and her dad is disabled. Her job is to take care of her parents and her aunt’s horses. Several years ago, she met a man and fell in love. They had planned to be married this time last year. He took his own life. This was devastating to her. I thought that this might bring her some hope that things will get better. A new beginning and closer to God. My wife and I went to Marshalls in Waugh Chapel the other day added $160 of our own money to the $100 and paid off a couple of people’s layaways. Several clerks helped us and they were so impressed with our church that they went to get the manager who said she knew those two people would be most appreciative. Merry Christmas! We were happy to purchase gifts for students in need at the school where my husband teaches who were identified by the guidance counselor. The $100 helped us to empty their gift tree. We hope this act of kindness spreads joy to kids who may not have been able to find a lot to smile about in their holiday season. Merry Christmas! We have spent a good deal of time at clinics at Johns Hopkins this year, and the patients are a very diverse lot. But they all have in common their suffering and hopefulness. One woman found within this year that she lost her job (and medical insurance), her husband died, and she has terminal cancer. We gave the $100 plus some additional money to her to do whatever she would like that might give her happiness or even joy. Our prayers are with her always. My family and I have been attending your church for the past few weeks and have found it more than welcoming since arriving. The first Sunday we attended, we heard an announcement about the Intentional Acts of Kindness project, and thought we had to have our hearing checked. After looking into it, we realized we heard right and were both amazed at the generosity. After realizing what we heard was true, someone was on my mind, but since I am so new to your church, I did not feel comfortable taking an envelope a few weeks later. I expressed my concern to Rev. Carissa that Sunday, and since the plate was empty, she did not hesitate to track down an envelope for me. I decided to give the offering to a woman that works in the cafeteria where I work. All in 2018, she lost her house to a fire (in the spring), her son a week later, and just a few weeks ago, she lost her son-in-law. My co-worker and I, like many others, gathered some money for her after she lost her house. She had a year with more sadness than any of us would ever want to experience in a lifetime, so naturally she was the very first person I thought of. After mentioning this program to two other co-workers (one of which didn’t even know who she was), we decided to match the gift and give her $200 instead. I wrote to her and told her that she has been in our prayers all year, and while this money is insignificant compared to the losses she endured, we hoped it would bring her joy this Christmas, if only a little. I want to thank you and everyone that made this program possible. I am truly grateful that we were allowed me to be a part of it. This past Saturday I saw a woman from Baltimore who helps me and I know she has had some real struggles especially this past year with the amount of rain we have had in our area. She has a really old home in Baltimore that the basement has been leaking along with the roof. She works full time during the week and every other weekend at the hospital in the emergency room. She is trying very hard to make ends meet but is in great financial trouble. She is working Christmas Eve and Christmas Day along with New Year’s Eve and New Years Day to keep up with her payments. She was so stunned with the $100 envelope and thought she had to pay it forward and I said no, that I was paying forward to her. We both choked up and hugged. She was so grateful and touched by your church’s generosity and so was I to be honest. My book club looks for a project each year to support around the holidays. This year, one of our members who belongs to Church of the Resurrection in Ellicott City asked us to support the stocking of a new library in San Bartolo, El Salvador. The church in San Bartolo has been housing and supporting those seeking refuge from unsafe neighborhoods and gang related violence, and is creating a library for this population who rely on their parish for a safe haven. This touched my heart because it combines the support of those who are endangered in their home country (which we have been exploring at SPUMC) with books, another area close to my heart. I added my own donation to the $100 to help purchase books for the new library. My hope is that those seeking refuge can find intellectual stimulation and comfort from having access to books during their time of confinement as they await safer living circumstances. I very much appreciate the opportunity to participate in this wonderful program. I used the donation to help an Army veteran with expenses until her 100% disability payments start in a few months. Jackie (not her real name) was an army Captain with a doctorate – a physician’s assistant. She survived a rocket attack in Afghanistan but suffered a crippling injury to her hip along with post traumatic stress and a traumatic brain injury. She is receiving pro bono treatment from Dr. Mary Lee Esty at the Brain Wellness and Biofeedback Center in Bethesda but has no funds even for taxi or Uber transportation. Without financial support, Jackie would be forced to walk more than a mile to her treatment sessions. Her physical injuries make this all but impossible. The church’s funds will provide Jackie transpiration to her treatments for neurotherapy that is already showing positive results. Thanks for the opportunity to help someone who so richly deserves it. Our young daughter again chose to create care packages for the homeless. She used her $100 to get McDonald’s gift cards. Dad and mom supplemented and also purchased, food, socks, hand-warmers and toothbrushes. She has asked other family members to also contribute and she’ll get those donations on Christmas Eve. We will deliver them between Christmas and New Year’s. Thanks again for the opportunity this year! We adopted two resident of Genesis Severna Park, the local nursing home. We asked the unit manager which resident didn’t get regular family visits. She recommended two residents, who don’t have much clothing or many personal items. We bought them clothing, mittens, blankets, personal items and treats. It was a very fun visit! Caleb (not his real name) is a 17-year-old young man living in uncertain circumstances. He currently works full-time at McDonalds and attends night classes in southern Anne Arundel County with the intention of graduating in May 2019. He comes from a large family, with 10 nieces and nephews. On his days off from work he spends his time taking care of his nieces and nephews to help his sisters and he really enjoys spending time with them. When offered the opportunity to provide Caleb with the gift, I asked him if he wanted to shop for Christmas for his nieces and nephews. I can only describe the response as his face “lit up.” He immediately began to list off the nieces and nephews he would be able to buy gifts for, and how much they would enjoy receiving gifts for Christmas. We took him shopping at Walmart and then to our house to wrap the gifts. All he could talk about was how much fun his nieces and nephews are going to have and how happy they would all be on Christmas. Our daughter started kindergarten this year at a nearby elementary school. I am on the PTA there and was surprised to find out that 25% of the kids are at or below the poverty line. So I reached out to the principal for her to choose a family that we could bless with a Christmas. She chose a family that could for us and I was happy to go shopping for clothes, toys, and books for these children. It also reminds us how blessed we are because this could easily be our daughters. Our daughters have decided to give their doll house to this family, as well. Although their act isn’t entirely selfless, as they are holding out hope that Santa will be bringing a Barbie dream house :). I decided to use $100 of my own money to be part of the Intentional Acts of Kindness project. I have an old high school friend in need, and want to relay this story because of the inspiration of this whole thing, and my hope to inspire others to give their own “matching” donations. Wouldn’t it be great if others could help to double the effects of the $100 bills, like our initial benefactor who decided to double their original gift from 5,000 to $10,000 last year, and whose giving of $10,000 again this year inspired additional donations which allowed us to give away $21,600 in 2018. For the most part, this is a pretty wealthy community and we should be able to help multiply the story! My friend is too proud to take money from friends. He wouldn’t let me help him financially. Out of respect for his pride I needed to find another way. I could do other things to help him. I also told him about how wonderful our church is. But not about the $100 gifts. That’s why I drove him before dawn to the hospital for his kidney partial resection after they found cancer, after they found a heart condition needing a stent, after he avoided health care for years not being able to afford insurance. He is now out of work for a while, recuperating, but does not have the means to be without income. So we make him meals, go shopping, or whatever he will allow. He finally got Medicare on his 65th birthday and got a checkup. That’s when they found the conditions. He received a stent IMMEDIATELY after his cardiac scan. They didn’t let him leave the hospital. So I got an envelope and printed the SPUMC return address on it to make it look official, and put a $100 in it. So he could not refuse it, like he does money, I sealed it and gave it to him, saying it was a gift from the church, “kind of like a gift certificate…” That way he wouldn’t open it right there, and embarrass one or both of us. He contacted me the next day to glow about me and ‘the church folks,’ “Sure glad you are a member and my friend!” I could only wholeheartedly agree. I do love the Severna Park United Methodist Church. After much pondering, we decided to match and add to our $100 gift and had such fun selecting animals from the Heifer Project website – we can’t wait for our gifts of a goat, some birds and some honeybees get to the families who will benefit from the opportunities these critters will bring! Thank you to our generous donors and to our church for leading us to be intentionally generous!! I’m so grateful that the generosity of SPUMC members enabled my contribution, in the church’s name, to a scholarship fund established for the school-age children of Burton Shields. Burton died unexpectedly as a result of routine surgery. He was a gracious, skilled and cheerful member of my employer’s building maintenance team and his death left his children with uncertain futures. Thank you Severna Park United Methodist. Thank you so much for allowing me to spread some kindness during this holiday season. I gave $25 gift cards from Walmart to four lucky families at Marley Elementary School. These families attended the Food for Families Event on Wednesday night and entered their names in a raffle. Food was donated to families in need by The Maryland Food Bank. The gift cards were much appreciated during this holiday season. For some time I’ve frequented a car wash in the middle of Route 3 in Crofton. Whether in stifling summer weather or on the coldest days of fall, a crew of workers who appear to be Latino have been there to make my vehicles shine. Given the opportunity to participate in Intentional Acts of Kindness I asked the young man in charge of the business if I could do something for his workers. He welcomed the idea and I thought about providing lunch for them. I later found out from one of the cashiers that the owner does that at Thanksgiving and Christmas. I went back and spoke with the manager again, suggested that I not interfere with his holiday plans and offered to let him decide how best to use the money to support his workers. He was very grateful and said he could use the financial help, especially this Christmas. He asked what he could give me in return and I said there was nothing, only that he tell the workers that others loved and cared for them. He agreed, but said when he sees this old man coming through next spring he’s apt to tell the cashier my visit is on the house. Two organizations were recipients of the gift from church. The first $100 dollars was donated to Happy Helpers for the Homeless. Amber Coffman is a tireless advocate for the homeless with humble beginnings of making lunches in her Glen Burnie apartment. She was inspired to help people after reading a book about Mother Teresa for a school book report. Now, many years later, she and volunteers feed and serve the homeless in Baltimore City every weekend. The second $100 dollars was for Project Linus. Volunteers make blankets to provide love and a sense of security for children. Some of the children may be in a hospital due to illness, traumatized due to family problems, or in need of a gift of a new handmade blanket. The donation will support the purchase of fabric and sewing supplies for the “Blanketeers” to make blankets to wrap the children with love. Thanks to the wonderful Acts of Kindness many lives will be touched this Christmas season. I have some friends who are very engaged with animal rescue work. Recently, the husband was robbed on his way out of their bank and on top of that he is currently out of work. I shared my $100 bill with them so that they could buy food for themselves, and maybe some for the animals that they are fostering, as well. I feel very blessed to have been able to reach out to them in this way. After much prayer, we decided to give our $100 (along with some other goodies) to the homeowner that my husband’s crew served at ASP this past summer. She is a dear woman who has a rough life and little disposable income. We became fast friends through Facebook – though I didn’t even go there! We can follow some of her trials online, but she is always a positive upbeat and grateful person, with a real heart for God. It is such a blessing to be able to pass on God’s extravagant love this way! On a side note, before we settled on this gift, I considered giving it to a family I am praying for with a young child diagnosed with a brain tumor who has little hope of recovering. But when I gently inquired through a friend if her family was in financial need, I was told that they were “financially blessed.” But their friend was so touched by the offer that she said it restored her faith in our community, the church and in God’s love. Amazing how just caring enough to give can make such a difference! Praise be to God!! We are so grateful to be part of this compassionate community, as well. Thank you to the generous donors who have truly transformed Christmas in ways beyond measure! We decided to use our own $100 to participate in the Intentional Acts of Kindness project this year. One of my son’s youth football teammates lives in Baltimore city. They recently moved and it’s a much longer walk to school. After the November snow, he asked me for a new pair of boots because he only had one pair of shoes that were soaked by the end of the walk. Instead of helping only our son’s teammate, we used the money to buy snow boots for him, and surprise his two younger brothers and younger sister with new boots as well. Cheers to a great program! When I accepted the $100 last Sunday I had so many thoughts about how I could use it….then it hit me, I was right in the middle of wrapping up an annual event on behalf of Partners in Care! Partners in Care is a private non-profit organization offering programs and services that support the independence of older adults in our communities. What began as a service for the transportation of seniors has grown into a multifaceted program offering home repairs, social activities, advocacy assistance and a boutique. This organization provides the opportunity for all generations to care for each other and supports the independence of older adults, empowering them to be an active part of the community while aging in place. There are not many organizations that do anything remotely similar to what Partners in Care does for their members. I am passionate about this organization, it’s all about helping each other and giving back. We have a very unique culture of service exchange where members volunteer their time and talents to help each other. So about 4 years ago, I started an annual stocking drive for Partners in Care…it grows every year. These stockings are given to those who are in financial need, have no family. I decided to include the $100 with the donations I had received in support of this effort. I also started to collect financial donations from family and friends. A friendly visit and a stocking delivery really can brighten someones day. Funds received are used to directly promote the programs and services of Partners in Care. This organization touches peoples lives every day. Thank you for giving me this opportunity, it fills my heart. One of my favorite charities is Sarah’s House… again this year I purchased coats for three children. I smile when I think about what joy these three little ones will experience when they receive these warm coats for this chilly season. Thank you soooo much for providing this awesome program…. It is amazing to see the overwhelming response! Last Saturday night 5 of the 6 of our family members (missing a child away at school) went out to dinner to celebrate my husband’s birthday. Throughout the meal we engaged and had great conversation with our waitress. She has been slowly and steadily putting herself through school – has a degree from AACC and is 10 credits away from completing her Bachelors at UMUC. As a family we all felt the nudge that this was the person — we shared the project and added an additional $100 to her tip. Her face lit up and I only wish we had gotten her picture in the moment — our family will remember that moment without the photo! Thank you to whoever is financially supporting this project. When our friends came to church this past Sunday and heard about this project they also were amazed. I ♥️ our Church!! Has anyone thought about compiling these stories and creating a book — that could fund this project and create an ongoing source of income to continue it. I would be willing to help with a project like that :). Because of the generosity of SPUMC, I was honored to provide the $100 Intentional Act of Kindness to the Canine Humane Network (CHN), a small, non non-profit dog rescue, shelter, adoption and training organization in Highland, Maryland. They do amazing work with unwanted dogs and are operated by volunteer staff and many big-hearted volunteer foster families. They are dedicated to saving the lives of homeless dogs and providing a safe haven, humane care, and adoption programs for rescued dogs. When I handed them the $100, the staff was ecstatic! They were in desperate need of medical funds for to provide medical care for abandoned or stray dogs who need medical care to have a chance at getting adopted by wonderful, loving families. In 2017, CHN spent over $40,000 in these emergency medical cases; adoptions alone just can’t cover the expense. I was able to “love on” a beautiful dog-named Trixie who had just undergone a medical procedure the previous week. Money was needed to cover her veterinary costs. Money was also needed to cover the life-saving medical costs for Maverick, who came in with a broken jaw and badly damaged eye. The veterinarian discovered that “Mavvy”, a 10-month-old puppy, had been shot in the face!! Fortunately, CHN got him to a dental surgeon right away where he underwent over 7 hours of extensive surgery for a shattered portion of his jaw, a hole in the roof of his mouth, removal of bullet fragments from his nasal passage and losing his left eye. He was so appreciative of the care that he wagged at the surgeon when they were waking him up! Such a sweet little boy! (You’ll be glad to know that Maverick is now living the good life in a loving, furever home.) In addition, CHN is also currently working very closely with the vet’s to save a mix named Buddy. His leg was shattered by a bullet, but after extensive surgery, some nuts and bolts – Buddy is on his way to recovery. It is CHN’s hope that Buddy will serve as an assistance dog to an individual struggling with PTSD who has reached out to CHN. SPUMC’s Intentional Act of Kindness to the Canine Humane Network was much needed and much appreciated – by the pups and humans alike! As I took the $100 bill, I prayed for guidance as to who I could share this gift. Several people I know have financial problems. I decided to give it to a single mother who has unexpected medical bills. She was so surprised and very thankful. God bless the donors and God bless SPUMC. I am a member of the Severna Park Racquetball and Fitness Club. One of the Spinning Instructors, has been battling Leukemia for more that 7 years. I met him a few years back when his cancer had returned and he had to have a bone marrow transplant. Last week it was announced that he had developed 2 more cancers and was doing poorly. The club immediately had a fundraiser for him to offer whatever support we could to him and his family. I knew that I had to stop by and see if there were any more $100 bills left and there was. I gave the donation from the church with my own donation. Thank you for making it possible to help a man and his family. I donated the $100 to Orphan Grain Train for the purchase of 10 Luci Lights which will go to African villages with no electricity. Each unit contains 10 solar panel charged LEDs to provide light so kids can do homework, older folks can travel safely at night, etc. I had an idea in mind when I took a $100 bill last Sunday. It was a responsibility I took very seriously. Last Spring, my wife, was treated for stage 1 breast cancer. The medical staff at AAMC did a great job with her surgery and radiation treatments. What hurt the most was what the cancer did to her spirit. Someone on the medical staff referred her to the Wellness House where patients and caregivers are helped with free of charge support groups and counseling. These services were of great help. Another program offered at the Wellness House was one called Sailing Heals. It has affiliated itself with sailing locations up and down the East coast. Locally they work with the Eastport Yacht Club. For cancer patients and caregivers, they provide free of charge a wonderful lunch then sailboat sailors provide a ride in their boat. My wife and I went on May 24th. Everyone was wonderful, lunch was great and the ride out to the the Bay Bridge and out in the bay was the best escape from all the fear. We stopped thinking about cancer and later during treatments we focused on the feeling of being out in the wind and the sun. I sent Sailing Heals my $100 and explained how generous donors had provided the money and you and Severna Park United Methodist Church had come up with this program. I am so excited to have done this. I personally know how much this means to cancer patients. Wow! I have spent $100 on children’s books for the six foster children adopted by my daughter’s in-laws. Both of her in-laws had government jobs in Maryland and left them due to health issues. They moved from Crownsville to West Virginia. They bought land and started a cattle farm, but missed their family. Their two children are in their mid to late 30’s, so they took in two sets of siblings as foster children from neglectful and substance-abusing parents. After several years, they were able to adopt the 3 boys and 3 girls, now ages 6 to 12! All have special needs and are behind in school. They go to public schools with limited resources. They enjoy Scouts and 4H. I have been sending the children surprise boxes of clothing, toys, books, and snacks. And we write back and forth, though we have never met except on Facebook. I used the $100 for about 15 books for Christmas: Amelia Bedelia, How Things Work, Boys Book of Adventure. Mistakes That Worked, Mini Mysteries, Wish, The Mansion Mystery, and Nat Geo’s Why? 1,111 Questions and Answers. This year my husband and I each took a $100 bill. Chris encouraged out SPARK Music Team to take part in this mission. We know of a young family with several children, who live in the Upper Peninsula of Michigan. Their income is very low, (around minimum wage, once taxes, etc. are taken out.) They really don’t have a lot but are very faithful. Family does help but the parents are retired and they live on a limited income. We became aware of this family when we were in Michigan this summer. I checked with a family member because I didn’t want the young lady to feel strange about someone giving them money. I was informed that this money would help out so much with past bills, groceries and Christmas joy for the kids. After the update on this family’s situation, we decided to give both our $100.00 bills to this family. I can only imagine what their Christmas will be like. I pray that there is much joy for them. This mission has been amazing. When you add additional money to the $100, one can only guess just how much more was actually given beyond the $20,000. While trying to decide how to use the 100 bill, I happened to look at my community Facebook page. It was then that I saw a post announcing that two little girls were selling hot chocolate and cookies.The money earned would go to provide backpacks full of supplies and needed items for the homeless. I felt that this was a perfect way to use the 100….a win, win, win situation. First, the money would be used to serve the homeless, who certainly need the help and support of others. Next, it would encourage two very kind and loving young ladies who even at their young ages, wanted to help a needy population. And third, selfishly, the walk to their house would help meet my daily goal of 10,000 steps. So, I walked to the address where their stand was set up and proceeded to “buy” a cup of hot chocolate and give them the $100 bill. They were thrilled! I gave the $100 bill to The Wellness House located in Annapolis, off of Spa Road. The Wellness House is a source of healing and connection for individuals and families experiencing life with cancer. All programs and services are offered free of charge. I had experienced their welcoming embrace this year as I navigated a scary diagnosis. I took the $100 and asked if they had a particular family, individual, or program that I could designate. We decided together that the weekly Thursday afternoon tea group would be the recipient. A volunteer provides light refreshments for this social gathering. Many individuals (patients, spouses, caregivers) drop in for camaraderie, support, and relaxation. December 13 they will have an extra special Christmas tea thanks to this loving gift. Thank you for allowing me to help love and bless these people in need. While sitting in church a few weeks ago when it was announced that once again we would have the opportunity to complete an Intentional Act of Kindness, my husband and I thought that we would like to be part of this mission. We quickly decided that we wanted to help children in some way but wanted it to be somewhat personal. We didn’t have to know the children or their families but wanted to find a way to help but not through any organized group. While sitting at my desk in one of the schools where I work, I overheard some of the teachers and the guidance counselor commenting that there were children still wearing lightweight jackets to school even though the weather had turned quite chilly. I immediately felt that this was the way we could serve those in need with the $100 gift! When I asked the guidance counselor if there were children who didn’t have winter coats, she quickly responded that there were a number of them in need. I explained to her what the church was doing and told her we wanted to help. She was touched by the offer and gave me a range of sizes. The $100 was quickly spend and we almost matched the original gift. I delivered 6 new winter jackets to the school last week so these little ones ages 4-6 can be warm this winter. I also asked the guidance counselor to let me know if there were still any others in need in hopes we can keep them warm as well during the long winter ahead. We feel blessed to be part of a church that is so generous and caring. As soon as we received our envelope of money, we went as a family to the store to buy Christmas presents for Toys for Tots. We were so excited to pick out gifts for the young children in this area who may not receive much for Christmas because of their family’s financial situation. It was also exciting for us as we don’t have young children any more. The thought of those kids being excited on Christmas rally excited us. We are so thankful for whomever donated this money. They are truly a light unto the world!! After thinking about it for several days, I finally figured a way to spend the $100 you gave me on Sunday. I was at the grocery store buying milk and behind me in line were several elderly people from a nursing home. I asked the cashier to use the money to buy their groceries. The next day I went back and the cashier told me that the money was able to go pretty far because each person was only getting a few items. I took one of the hundred dollar bills last Sunday. I checked around some of the ministries at church to see if I could use the money for them. But none spoke to my heart. I had decided to use the money to buy toys and donate them to Toys For Tots, but that didn’t really speak to my heart either. I had only thought of that because I remember what it felt like to wake up on Christmas morning and have nothing under the Christmas tree. Then I got a card in the mail from The Salvation Army asking for a donation to feed families and to give clothes and toys to the children. This was what my heart said yes to. Then in Rev. Lee’s class Friday morning when she said we are supposed to take care of the least of these I knew my decision was right. That one hundred dollars will help feed 42 families in the community and give clothes and toys to the children. This is the back story on a woman named Keysha, who our family wanted to bless with the $100 Advent windfall. I would drive the same way, at the same time, down busy Hampton Blvd in Norfolk to take my son to preschool three days a week. Each morning for months, whether it was raining or snow was piled high on the sidewalks, I would see the same person, with a shaved head and lots of bulky clothes walking very quickly along the busy road in the same direction I was driving. I was always taught never to pick up a stranger, but I finally decided to stop, and that was when I met Keysha for the first time. Keysha is in her late 30s. She has no family, no transportation, and is mildly intellectually disabled. She works as a companion/housekeeper to an elderly woman 3 days a week for less than minimum wage. The other days she cleans at various gyms. She walks everywhere. Miles and miles per day across the city of Norfolk to get to her different jobs. I once asked her why she didn’t ride the bus, but she said that the bus was not reliable, and she didn’t want to get fired for being late. She shaves her head and wears baggy clothes, because she says people are less likely to bother her if she looks like a man. If you aren’t familiar with Norfolk, just know that it is not an ideal place to walk alone. I started to give her rides on the days we were heading the same way, and after 3 years got to know her pretty well on those quick rides around town. When Keysha is not working, you can find her at one of the Norfolk libraries on a computer watching sermons or gospel music videos. She is also active in her church and volunteers with them often. She is currently a step away from being homeless, and has experienced being homeless in the past, so she feels compelled to serve the homeless community. She doesn’t have much money to spend on anything but basic needs, however twice a year, on Christmas and her birthday, while most people are with their families, she will walk to the mall and treat herself to a movie. She also loves coffee. Sometimes, on cold days she would ask me to pick her up at 7Eleven..especially if they had the “buy a coffee, get a free doughnut” special. We moved to Maryland about a year and a half ago, and I haven’t been good about keeping up with Keysha. However, while you were speaking last Sunday about the Intentional Acts of Kindness, she immediately came to mind, and my son and I started whispering to each other about what we could mail to her. We decided to send her gift cards for Regal Cinemas (her favorite treat), a Walmart card, and some cash for those 7-Eleven coffee/donut combos. Thanks for giving us this opportunity. My family and I plan to continue to put her on our Christmas list from now on. I took on of the $100 last Sunday and today I was able to help a family near Tilghman Island with matching the $100. The mother in the family is 30 years old and has been a waitress at a restaurant we go to frequently in St. Michael’s when we visit on the boat. Something said to reach out to her and go visit. When I did, she said she was not longer working at the restaurant and long story. So today was the day and I drove to Tilghman and met her at a restaurant “Chesapeake Landing”…great seafood and nice small town, local place. Anyway, she explained that she had injured herself one morning before going to work to the point her husband had to take her to the ER. Somehow, she blew her left hand tendon and was in such pain she couldn’t work. This was on November 16th. Her husband called her boss after taking her and finding out what it was to find out they didn’t care and why she didn’t call sooner and didn’t ask what happened. She had doctor’s notes to say a couple days off with a brace and she could then go back to work. Bottom line the owner said never mind we don’t believe you and you are fired. Needless to say, she was shocked after being there for more than 10 years and their head waitress and trainer. Her husband has severe depression and PTSD and cannot work…she is/was the bread winner. She has been trying everything and scared they will not be able to pay their rent which was due on the first. So long explanation but I of course paid for lunch, gave her the $100 bill and then took her to the grocery store to buy things they needed and took her back home so her husband didn’t have to come out and get her. They were both overwhelmed as she doesn’t like to take handouts, she’s a very hard worker and knows that things have a reason for happening and there is a plan. They are even living without heat right now because she’s afraid of telling the landlord about it because she’s afraid being late on her rent they will evict them. She’s making it work and keeping her family together. She never asked for any help just a shoulder and someone to talk to. We hugged and said see you again. She even knew about Heaven’s Kitchen from me telling her so much about it that she said when she goes to the local church to get clothes for the girls that she takes what they have grown out of to help give back. I told her that God does have a plan for her and she agreed. We all have hard times to go through, but God is always with us. Whomever has donated this wonderful gift to share with others is truly a blessing. I wasn’t sure who or what I was going to do with the $100, but I knew God would lead me…and he did. Thank you so much for the opportunity to participate this year! When we got the envelope and I explained to my 6 year old the purpose of this mission. I asked her how we should spend it. She immediately said, “On Grandma Jane’s girls (in Sierra Leone)!” I told her that was a wonderful idea and that Grandma Jane (Rev. Jane Lahai from Sierra Leone) would be proud, however, our church already so generously supports the school and that we could try something new with this. I gave her three options: Support local refugees (we actively collect items throughout the year to take to the Burmese refugee community in Baltimore), the crisis in Yemen (I explained there were children dying because they didn’t have enough to eat), and the migrant caravan. She immediately said she wanted to help the kids who didn’t have enough to eat so we donated the $100 to support the work of the IRC (International Rescue Committee) in Yemen. So my story is simple. I know a single mom through the preschool that I work at. Her son is a student in my class. He is such a great kid. I honestly wish I could adopt him. Anyway, when you introduced the envelopes this past Sunday he and his mom were the first people that popped into my mind. So on Tuesday I sat down and wrote her a letter because I just didn’t want to hand her the money without explanation. It is a delicate balance being a teacher. I didn’t want to insult her in any way…so…I wrote a letter explaining how much I admired her courage and determination to provide for her son and hold everything together as a single mom. I shared with her that I had gone through for a period in my life when my husband left me to “go find himself” and I had to be the one to carry the load of raising my daughter all by myself. I slipped it into her son’s lunch bag along with the envelope with the $100 as a show of affirmation for all that she was doing and the challenges she was facing and sent it home with him. When I spoke to her this morning about the letter she said it brought her to tears. For two reasons…1) she had just opened it this morning but the night before she had actually been to SPUMC for the first time! She works about 10,000 jobs to make ends meet and she just happened to deliver food to the church band last night. She said she met some “really nice guy” named Chris. and 2) She has been struggling, in more ways than I had ever imagined as you can see by her note. So if you put our notes together you will get the picture. I am just glad God chose her. She is so deserving. What a fun and meaningful way of spreading Christmas joy. ps: In my discussions with her today and in talking about the band I told her that the music at our church is awesome. She asked if we had childcare. I told her yes and that my daughter loves church & talks about VBS all the time. I also said – if you can’t get your little guy to go you can always bribe him with donuts! She said that is funny because when she visits family in Florida they have donuts at the church they go to, so her son is used to that. When they tried a few churches in the area he kept telling his mom, “well this church isn’t right mommy because they don’t have donuts!” 🙂 So maybe, just maybe they have found a new church home. (NOTE: the recipient of this act of kindness wrote us a four page letter of heartfelt thanks explaining their situation and what a blessing this had been). I just wanted to let you know that I purchased a Food Lion gift card with the $100 and gave it to two sisters (and their family) who attend Arundel High School. See the following from one of the school’s guidance counselors. I hope it will help them have a good meal! Again this year my wife and I have matched the $100 Intentional Act of Kindness and sent it as a donation for refugee relief through the United Methodist Committee on Relief. This work is more important than ever and we are very grateful for the chance to support it this season. My husband and I wanted to let you know what we did with our $100. My neighbor sponsors several families through the Ulman Foundation, who supports young families affected by cancer. We helped sponsor a family that lives in Edgewater, MD. The father, is a military veteran who was medically retired due to combat-related disabilities stemming from his time in Iraq. His wife is a cancer survivor but they recently found out that her husband has metastatic cancer with many tumors in his stomach and lungs. He is currently unable to work and they have three children 7, 9, 11. I was able to purchase all of this below for the two girls, ages 7 and 9. They each got two outfits, socks, hats, gloves, and hair accessories. I know this will help them out and put smiles on the kids faces. Thanks for giving us this opportunity to help. I would like you to know that I just mailed our $100.00 today to our niece and her husband, who live on Dover Air Force Base in Delaware with their four children. The reason I chose them for my $100 dollars is that last week their youngest child, who is just 20 months old, was attacked by their large family dog ,which was considered to be very gentle up until the time of the attack. The circumstances of what initiated this attack are not known but little Camden was bitten in several places on his face and neck. He had to be rushed to the hospital by ambulance, immediately going through emergency plastic surgery to repair his little face and rebuild his jaw. The doctors said he is very fortunate to be alive, as one bite was just 2 inches from a major artery. His parents had just lost a baby earlier this year and the thought of losing their son was just unbearable for them and all of us. They are feeling very blessed to still have him with them. They have been through a very difficult year. The thought of this sweet baby going through this horrific experience is just so heartbreaking. He is a cousin to our little grandson who lives with us. They, as well as a third little cousin, were all born within 3 weeks of each other. Whenever I look at our grandson’s beautiful little face it breaks my heart to think of my great nephew and the long road to recovery this precious little boy has ahead of him. We are hopeful that this generous donation, which my husband and I also matched, will help out with doctor bills, medicine or anything they need to help make him feel comfortable and happy. We would like to thank you and our church’s generous donor for helping our niece’s family, as well as the many other people who will be helped by their gift. God bless them. As a family we talked about how we would be generous with our gift of $100. We decided to match the gift and give $200 to the American Diabetes Association because our niece/cousin has juvenile diabetes. We have seen how it has changed her life adding great challenges. We hope that this donation helps them to find better treatments and ultimately a cure. I had no idea what I would do with the $100 when I left church on Sunday, but I prayed for guidance, and my prayer was answered very quickly. I was shopping in Home Goods today, and overheard a phone conversation that a woman in the next aisle was having. She was telling someone about a friend who had lost everything in a house fire and was really struggling. When she finished, I introduced myself, described the Intentional Acts of Kindness, and offered her the $100 for her friend. She immediately began to cry, telling me that her friend, his wife, and 90 year old mother were now homeless and trying to salvage a few mementos from the ashes of their home. She described him as a faithful Christian and someone who had been like an older brother to her throughout her life. She was so grateful, that she immediately called him to tell him about the gift, which she intended to drop off as soon as she left the store. I never got her name, but she asked for my name and the name of the church so that thanks could be sent. NOTE: We did, in fact, get a very grateful phone call from this woman the next day. I took one of the envelopes for$100 and made a donation to my employer Edward Jones’s Disaster Relief Fund. The fund helps support Financial Advisors and Branch office Administrators that have been affected by the fires in Southern California. Several of them has lost their homes or their offices they work at. My husband’s $100 went towards a family meal at Brent’s House in Denver, Colorado by Children’s Hospital there. It is where Little Theo’s family is residing while he undergoes his bone marrow transplant. My $100 went to a needy family of 7 in the area that our grandchildren’s preschool is outfitting. And finally, our daughter’s $100 went towards a better playground at our grandchildren’s preschool. We also sent in a donation to the preschool. Do love this! Thanks for your encouragement and allowing this to happen! I did not originally intend on taking the money this morning. But last night there was a posting on Facebook that changed my mind and I knew I needed to participate. We have relatives in Oregon on my husband’s side that we have not seen in many many years. Facebook can be positive in that we at least have some connection with them. Their son had posted a picture of a Christmas tree all decorated and lit up. He was thanking his Mom for providing the tree because he was not going to be able to provide his two small boys with a Christmas this year. He is going through a rough time. So this money will help with whatever else this family needs. We will match the 100 dollars as well. Feeling blessed to be a blessing! After receiving the $100, one of the initial ideas I had was to donate this money to the Appalachia Service Project. For those who don’t know, ASP is a Christian ministry that sends both youth and adult volunteers to repair homes in Central Appalachia. I have had the privilege of volunteering with ASP for five years and each year it is such an eye-opening experience. It’s impossible to truly understand the beauty of the mountains and the people who live there without experiencing it first-hand. One of the most amazing parts of this trip is having the opportunity to interact with and really get to know the home owners. They are such amazing people who never seem to take anything for granted. After more thought and input from my family, I decided to send this money along with a letter explaining where it came from to the most recent family I served on ASP. The owner of the home was a single mother with three children. She was usually at work during the day but always found time to talk to us when she was home. They were very grateful for everything we were able to do but there was clearly more that could be done. I know this money will go a long way for her and her family. This was such a great idea and I’m very thankful that I was able to take part in it. Our foster child’s mother has been living in different rehab centers for over two years. She feels unsafe living in Baltimore city, which is where she has been living. The little boy we had been caring for returned to live with his mother in the city earlier in the year. She had been saving money to fix up a basement apartment in her mother’s home so that she she could move there. We gave her the $100, and they moved into that apartment this week! I donated $100 to the United Service Organizations (USO). The USO strengthens America’s military service members by keeping them connected to family, home and country, throughout their service to the nation. My son is in the Air Force and has enjoyed the hospitality of the USO airport centers as he is traveling. They provide a clean, safe place to rest between flights as well as food and drink. Not part of the federal government, the USO relies on the generosity of individuals, organizations and corporations to support its activities, and is powered by a family of volunteers to accomplish our mission of connection. There are USO centers at or near military installations across the United States and throughout the world, including in combat zones, and even un-staffed USO service sites in places too dangerous for anyone but combat troops to occupy. I am very grateful of all the services the USO provides to our soldiers. It is nice to know that wherever they go, the USO will be there to support my son and his fellow service members. I also donated $100 to Hodgepodge Pets, Inc., a small, dedicated, family-run animal rescue, in Parkton, MD. Feeling called to help the helpless, this family has rescued, fostered, or placed in new homes, over 300 animals in the last 30 years. The mission of Hodgepodge Pets is to be good stewards of the animals placed in their care and to the people of the community whom they serve. They focus on rescuing, fostering and placing animals for adoption, senior-pet pairing, and help for our military families facing a pet-related crisis. They carefully screen all potential adopters and do not charge an adoption fee. Hodgepodge Pets is working to have programs to foster more pets for military families during training or deployments, and to pair overlooked, hard to place, older pets with senior citizens. They would also like to offer pet therapy for at-risk teens and those suffering from PTSD. Their dream is to not only continue with their rescue work, but to expand to bless even more people and pets. For more info you can go to their Facebook page or website. My wife and I prayed for guidance as to who should be blessed with this gift. Then we saw a newscast about the Helping Up Mission and knew this was our sign to give to this cause. As a former Executive Director of the MD Child Support Enforcement Administration, I was reminded how impressed I was with this organization and how happy our organization was to help Helping Up Mission residents resolve their child support issues. What impressed me the most was the inclusion of a spiritual component to the recovery process. 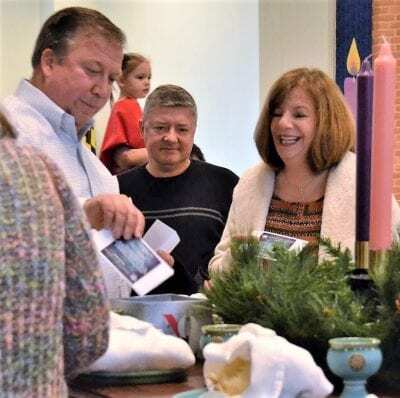 What better place to direct the SPUMC gift than to an organization that guides their residents through a recovery process that includes a spiritual connection? In addition, we have decided to match the $100 gift from the church with a $100 gift of our own. Please keep up the great work and we pray for your continued success. We consider one of the side benefits of this project is causing people to take time to think of different ways they can volunteer and ways they can improve the community in which we live. Note: The Helping Up Mission is a residence program in Baltimore that provides men fighting issues of addiction and homelessness, with food, shelter, and a reason to believe. The following statement is made on their volunteer page: “God’s healing flows through the hands of His servants, and we all have a role to play. Together, we can restore men fighting addiction and homelessness, so they can lead productive, responsible lives.” When I was involved with this organization, many of the staff and volunteers were past residents giving back to the program. I was able to deliver this gift to a very deserving young woman who has recently become a single mother with 2 children and is struggling to make ends meet. She is working and looking for additional jobs. The look of wonder on her face and the tears in her eyes said it all. She was overwhelmed and oh, so grateful! Thank you for giving us this opportunity to be part of this ministry. Thank you to the wonderful person who was so very generous by giving money to so many people to spread kindness, love, and joy to so many others in our world this Christmas. It took me a long time to decide how I would use my $100. It was not as easy as I thought it would be to choose just the right way to spend the money. I did as so many others had done. I went to the internet to research the best organizations who use their money in ways that do the most for the good of the people depending on them. As a cancer survivor and a leader of a cancer support group, God led my heart to St. Jude’s Hospital and I gave the entire $100 in honor of two year old Gianna Dorn. Gianna was diagnosed with Stage 4 cancer which was everywhere in her body except her bones and brain prior to her second birthday. Cancer is a very frightening disease for adults; but, it must be even worse for a child. There are strangers doIng painful things to their bodies, in scary hospitals that are noisy and smelly. Their families are crying and they do not always get to go home for Christmas. St Jude’s hospitals treat Children with cancer at no cost to their families. The children and their families are treated with kindness and love. Thank you to who ever allowed me to give the gift of love to this wonderful hospital in the hopes of helping other children. After taking an envelope and praying for inspiration, we have decided that for our Intentional Act of Kindness we would donate to the Helping Up Mission in Baltimore. As we drive to work every day through the downtown streets of Baltimore, we see countless numbers of homeless people who seem to sit and gazing into the sky with no hope of a “normal” life. These people sleep year around in tents that form a make-shift community under bridges. They appear to lack many hygiene and healthcare benefits. The struggles of these individuals sadden us and we wish for their recovery. The Helping Up Mission has many success stories providing recovery and employment as well as positive religious direction and as taken from the website – “At Helping Up Mission, we believe God’s love can set men free — from drugs and alcohol, from poverty and homelessness, and from any other self-destructive behavior.” It makes us happy to know that this gift will go to such a good mission. Going to the Longest Night Vigil was a great experience, and it really opened my eyes to the situation of homeless people in Annapolis and our county. It’s made me determined to help people I see on the street when I can, and to not be afraid. I am very glad I was able to donate to the Arundel House of Hope, as it’s going to a cause I really believe in. It felt really good to make the leader of the Winter Relief program so happy. I wasn’t in church on the day that the $100 bills were given away, but I have been challenged by the stories to be on the look-out for a fresh place to give, and expand my awareness of how to use the gifts God had given me. So, the other night, I was at a small gathering for a friend’s birthday, and met a new friend, Mary. Mary lives in Baltimore and is an active member of St. Leo’s in Little Italy. We were sharing stories about our churches, and she had some funny stories to tell about being one of the youngest members in her church (she is about 50!) I told her about the $100 challenge, and one of my favorite stories – the one about the pizza party at St. Vincent de Paul’s. She said she new that church well, as she is active in an organization called “Back on My Feet.” The group joins with homeless folks in Baltimore and they run together! They also hold fundraisers and offer all sorts of other support like job placement, sobriety support, etc. So, I made a donation and I am going to join their run on the evening of 1/2/18 which heads out from a location in Federal Hill. (I am assured that the group has walkers as well as runners, so I hope that is true!!). So, thanks to the donor of the $10,000, to you and to SPUMC for continuing to help us stretch and grow! I was excited to participate in the Intentional Acts of Kindness project and I’m happy to share how I used the $100. A few days before the Sunday in church where the $100 bills were distributed, my mother had been telling me that she had become friendly with a young family that moved in across the street from her. They had 2 young daughters and a newborn son. The mother had mentioned that her baby son had hardly any clothes to wear since only some of the hand-me-downs from his sisters would work. My mother and I both planned to ask around for hand-me-down boys clothes. I decided to take one of the $100 bills and buy new clothes for the baby. The family was very appreciative! I had some money left over and I used it to buy baby supplies for a baby item drive that a coworker’s high school daughter had organized as a service project.The baby items were donated to an organization that supports young mothers in need. Having worked in the county school system as a teacher, I recognized the needs of families and their struggles especially during the Christmas season. I immediately thought about my school and knew who would benefit from the $100.00 gift. The counselor was contacted and because of my matching gift two families were chosen. Both families wanted to use the money for groceries. It was converted into Visa gift cards so the families could shop at the store of choice. I am confident this act of kindness enacted through our church has had a positive impact on their lives this Christmas. My family volunteered last Saturday to help prepare and serve a holiday meal to the homeless (this is through the Happy Helpers organization..) One of the attendees is a single mom who has a special needs child – she’s been attending for years and now has a place to live, but putting food on the table and meeting the basic needs of her child is always challenging. This story touched our hearts and we gave the $100 to her. Needless to say, she was beyond happy and grateful. It was truly a blessing to be able to go “above and beyond” for this mother and her son, and I believe she believes that this gift came “from above.” Thank you and God bless the generous donor of this money. The $100 was given to a family in Elkridge who lost everything in a house fire. The daughter is a student at Thomas Viaduct Middle School in Howard County where my wife works and heard about this family. She talked with the guidance counselor and arranged for the principal to give the money directly to the student’s father. I successfully synched up with one of the teachers at SP Middle School who had a mother and son that are in need of assistance. I was able to take the $100 and with matching contributions from friends in SP and myself, grow it to about $350. I texted nine friends and explained what SPUMC was doing and all nine contributed, with one of them contributing $100 of their own. I was blown away. When Sherri called the woman to let her know, she started crying and was very thankful. I also was informed by my teenage son that he too grabbed an envelope and had been trying to figure out what to do with it on his own. We decided to combine all funds and provide a Walmart gift card to this need family for about $450+. I think the Kindness Project was a great idea – maybe next time stipulate that you have to be 18+ years old or have parental permission to participate 🙂 In the end I’m happy that I was forced into it because it looks like a local needy mom and son will have a good Christmas. Thank you for the opportunity. After taking an envelope, our family discussed ideas about how we use the money. We agreed helping with Heaven’s Kitchen would be a good family event so we decided our contribution would be homemade Christmas cookies. The idea was each person could take a bag for themselves and an extra to share. We spent three nights last week making several cookie varieties, made several mistakes that we had to eat on the spot, and then wrapped in bags Friday night. 80 bags were delivered and handed out as part of a bag of personal items, donated clothes, children book gifts, all following a good hot meal. Adding to the whole mid day event was Chris and his holiday carolers and a very healthy support crew led by Chip. I enjoyed being there with most of our family, meeting locals that came to visit, other helpers, and I was thankful not to be fired from a volunteer job. I took one of the envelopes and right away knew of a student I could help who is living in poverty. My fourth grade teammate and I took him shopping for a new outfit (sweatshirt, pants, socks, underwear, and shoes), toy to open on Christmas and a gift for him to give to each of his parents. He had such an amazing time and kept saying how it was the best day of his life. He came in the next day dressed in his new outfit with a big smile on his face. After shopping we took him to grab some dinner and brought him home. His parents were very appreciative and kept thanking us for doing something so kind for their son. Thank you for allowing us to spread joy and giving in a personal way. We decided to give the $100 (plus some more that my husband and I added) to support a refugee from Africa who is being assisted by Bowie United Methodist Church. I have been re-reading a book that I think is excellent, but difficult reading — Black Earth: The Holocaust as History and Warning by Timothy Snyder, and was reminded that “to save one soul, saves the world.” I’m hopeful that his rescue, a miracle as described by his pastor, will not only be a rescue of one person, one refugee, but perhaps others in his family. Our gift will support a cell phone so he can talk with his father and sister. I prayed about this, since I know others contributed to organizations, but I wanted to help — and the cell phone need had not been funded by Bowie. The pastor described this gift on her Facebook page as “a visit from an angel.” She knows the story of how we received the $100 and thought it was wonderful. So do we! As the year ends, we reflect on the miracles and blessings God has given us, even as we prepare our hearts for new possibilities of grace God has yet to give. I would like to share a miracle which Bowie UMC was given. The miracle is a young man from Africa. He came to this country because that government wanted him dead. You see, he is a Christian, of the “wrong” tribe, and taught children how to think critically about the world while he taught them “reading, writing and arithmetic.” For being who God created him to be, he was considered a threat. His pastor helped smuggle him out of his country. It is only by God’s grace that this young man is alive. In his country, he had seen many of his friends and family, including his own mother, murdered. Coming to this country, knowing no one, he admits to times of feeling such despair that he prayed God would take him to his eternal home. By God’s grace, he found his way to Bowie UMC. We were able to get him a safe place to live because a good Christian couple opened their hearts and home. This young man’s faith is enormous, in the midst of great sorrow and pain. He had to leave his father and younger sisters and recently found out that they, too, are now refugees, but now are safe. I hope you will have an opportunity to get to know this amazing young man. He has blessed us more than we have blessed him. Please keep him in prayer as he discerns his future, awaits asylum (yes, he is here legally), and grows in faith. Through grace by faith, God led him to us. By grace through faith, God has opened our hearts a bit wider, given us eyes to see with new vision the world at large and allowed us to experience how faith can sustain us even when we think all is lost. My granddaughter Mattie, 12 years old, has a huge passion for helping people with a need. With that in mind, I took one of the $100 bills so graciously offered by a member. As expected, the idea sparked great discussion at our dinner table. Mattie really wanted to see if we could help a family from her school. Sure enough, the principal told us there are several families who could use the gift for Christmas for their kids. We did not get the particulars, but she assured us that the family she had in mind would truly benefit from the gift. That was all we needed to know. I am writing to share the good news for our Intentional Act of Kindness. Our family purchased (3) winter coats for children staying at Sarah’s House which is a temporary shelter for those who find themselves homeless. The generous gift by our church donor is helping hundreds of folks in our communities. It is so awesome and “wonder’ful! Thank you for the opportunity to share all that is good. I often shop at the Weis supermarket in the neighborhood and have found an employee that has always been professional and helpful. This may seem like nothing but sometimes I go to the store in sweats and don’t always look my best but he has always been professional and helpful. I had not seen him for months but last week after service, (I had prayed in service for the direction of the Lord as we were told to be intentional in this giving), I looked up and there he was. He immediately asked if I was Christmas shopping just for conversation. I let him know I was just picking a up few things. I asked about his Christmas shopping. He hesitated a bit then let me know he needed to get gifts for his two daughters. We talked about his daughters for a while. Although he never specifically said he needed help, I felt like this was my moment to show the love of Jesus as we were told to do. I explained the donation at church and offered him the envelope. He was so grateful and appreciative. I am grateful that I was given the opportunity to give back to someone who possibly is having a tough time but remained professional. To God be the glory. When I read that the church was giving money for people to use as an Intentional Act of Kindness I misread the announcement and thought that it read International Act of Kindness. I got very excited because my niece recently got engaged and I knew that her fiancé is very involved with an organization in Guatemala. I decided right then that I would get that money for his cause. This meant I would take the time to learn about the organization, get to know more about my new nephew-to-be, and donate the money to the organization he is very passionate about. Believe Guatemala is a non-profit, Christian organization, which seeks to empower and educate families in poverty stricken communities in Guatemala City. They believe God wants more for His people and that He calls us to be a part of His restoration process. They have a newly built Restoration Center that serves over 1,200 families in a community at the City Dump by providing educational programs, Bible studies, community outreach, and leadership training. Their Christ-centered programs are aimed at providing opportunities to break the cycle of poverty and reveal God’s love and purpose for all His children. I already knew that niece’s fiance periodically goes on mission trips to this Center and works with the children there. After attending church the next week, I realized it was not limited to being international (LOL) and my heart was pulled to look for a local organization to support. I wrestled with this for several weeks. This morning when I woke up it was clear. So many lives are affected by addiction and I have a particularly close friend who has lived in many group homes in the 4 years that I have known him. Currently he is at Helping Up Mission in Baltimore City. Helping Up Mission provides men fighting addiction and homelessness with comprehensive recovery services, including: Meals, shelter, clothing, and other basic needs,Spiritual development, classes, and counseling that change hearts, integrated healthcare, education, workforce training, and life skills. This is his second time at this particular mission. They offer many services and I pray that this time his heart will be permanently changed to give him the strength to stay clean for himself, his daughter and his whole family. In the last five months I have seen him stay clean, quit smoking, and start exercising. He appears to have a new attitude this time and I pray this is so. So what did I do? I multiplied the gift. I have agreed to support a child named Rosa in Guatemala on a monthly schedule and have also begun to donate monthly to Helping Up Mission in Baltimore as well. I pray that God will bless these donations to do his work. The $100 provided to me was given to a father of 8, ages 1-18, who lost his wife around 2 months ago. Mom found out about her cancer when she was being tested for pregnancy at the beginning of the 1-yr old’s gestation. As devout Christians, they chose not to aggressively treat the cancer due to the probable effect on the new fetus. The baby was born healthy, but Mom succumbed to the cancer. The local business where she had been working has rallied around the family and have provided presents for all 8 of the children. I sent the $100 to the father to be used for utility or any other bills that might be due. Hope in eternal life is wonderful, but what a joy to give someone hope for their day to day life here! We gave our $100 to Benevolent Baskets, an organization near and dear to my wife’s heart. The money was going to be used to provide basic needs to formerly homeless women. Before the money could be distributed the Founders of Benevolent Baskets had a meeting with the Salvation Army to discuss Benevolent Baskets partnering with Salvation Army. The people of Salvation Army were late because of a fire at their Havre De Grace facility. The fire had either destroyed or severely damaged the toys they had been collecting for Christmas. They received Severna Park United Metholdist Church’s $100 donation and they were thrilled. They went on to explain that the doctrine of the Salvation Army is based on the teachings of John Wesley. I hesitated to take the challenge of collecting the $100 bill to help someone or some project. To me this task was daunting. There’s a parable in the Bible where the master gave his 3 servants different amounts of talents (money) to invest his money while he was gone. The first 2 servants did a great job of making a profit for him while the 3rd one just buried his money and did nothing with it. I didn’t want to do this challenge thinking I would be like the 3rd servant and not find a way to help someone. It was like a test for me – could I do this with God’s guidance? But with an act of courage, after the service, I slipped up to the altar and took an envelope, praying that God would show me the way. After praying on this for over a week, the same name kept coming to me, a friend who is going through a horrific divorce with 2 children. Her husband has been abusive, but she continues to smile, never bad mouths the man, continues to work to feed her children, and keep the family together in a loving relationship. I know she is having trouble with bills as she is paying for everything right now, but she keeps forging ahead. She does have a strong faith and that is helping her to keep a smiling face and strong belief that things might just work out in her favor. I know she wouldn’t take this $100 as an act of charity, so I slipped it into a Christmas envelope and hid it in her Christmas tree. I don’t know if she has found it yet, and I don’t know what she will do with it. But whatever she chooses, I know it will light up her spirits, lighten her load, help her children, and give her the hope she needs during this season of abandonment and debt. There was a lady at work that I know who is very loving and kind but really does not make very much money. I saw her crying at her desk one evening as I was about to leave and I walked over to her. She was having extreme pain in her right side that she had for three days but didn’t have any money to go to the emergency room. I got a wheelchair and took her over to the hospital where she was treated for a gallbladder attack. A week later she came back and I bought the “Jesus always” devotional book for her, put the money in a card to tell her that she was loved and put the card in the book. I kept praying about this for two weeks and asking the Holy Spirit if there was someone else we should consider but I could never get her out of my mind. I haven’t seen her since she opened her surprise so I’ll have to give you a little update later. I think it was a beautiful idea and I’m glad the whole congregation was included! I took one of the $100 bill envelopes a couple weeks ago. I chose to give it to a friend who is suffering from financial troubles and she was very grateful. Ever have one of those times when God taps you on the shoulder to do something for His kids and you kind of shrug it off because it isn’t the best timing and then regret it later? Well that is exactly what happened to me a few weeks ago. My friend Joe and I were having a look at the historic Shot Tower in Baltimore on a Sunday afternoon with plans for dinner after when I noticed that there was a sizable group of homeless folks hanging out in front of St. Vincent De Paul Church. God seemed to say why not get some pizzas for everyone and sit out on the church steps and have a meal with these folks. The thought pulled me hard but not enough to act immediately. When Joe suggested a place for dinner, I didn’t share my God moment with him and we just went on our way a few blocks over to get some good food on the upscale part of Baltimore’s East Side. The opportunity to share Gods love was lost and I knew it immediately — that thought returned a couple times later that evening but was soon eclipsed by the fast pace of life. So there I am sitting at church a week later when you make the announcement that we could pick up a crisp $100 bill with the only stipulation that we do some good with it — God was quick to remind me of my missed opportunity and I immediately started making excuses in my mind about not having the time to spend an afternoon in Baltimore when my feet started moving me towards the altar to pick up the envelope. I surrendered to God’s nudge, took the $100 and called my friend Joe who isn’t a member of our church to tell him about the missed opportunity, generous donation and asked if he wanted to join me on our mission to throw a pizza party for the homeless — he enthusiastically agreed. We planned the party for this past Sunday afternoon and with some matching donations came up with two cases of water, ten Dominoes pizza’s of differing varieties, 8 boxes of chicken poppers and a case of Orange Crush at Joe’s suggestion. We ordered the pizzas online and waited for the delivery out in front of the church and began to chat with one of the local residents named Mark. Mark was a Ravens’ fan who was quick to give us the scoop on some of the residents and their circumstances. When we told one of the residents that we had ordered Dominoes pizza he said jokingly that it had been so long since Dominoes had delivered anything to that neighborhood that he thought they went out of business. I started to worry that he may be right since they were already 30 minutes late ;-). We got out the water and Orange Crush and immediately realized that the soda was much preferred over water and the crowd quickly took charge of distribution in a surprisingly fair way making sure everyone got a can. Not long after, the pizza showed up and again the residents helped distribute the pizza to everyone and Joe and I grabbed a slice and began to break bread with our brothers and sisters in Christ. I told one resident about the generous donation to SPUMC that made this possible and he was touched and very grateful since it turns out that they never get pizza and most folks that bring them food and supplies just drop things off and rarely stick around to share a meal. Joe and I hung out until most of the pizza was gone. There was lots of heart-felt thanks and a spontaneous hug by a woman who appreciated us hanging out with them or maybe she also really loves pizza ;-). The residents then cleaned up the trash as best they could and thanked us again. As Joe and I drove out of Baltimore that night with a bit of a chill from the cold night there was the warmth, too, that seems hard to describe — perhaps it is the gentle pat on the heart from our Father for being about His business and spending time with His other kids. I knew then as I know now that I gained more then we gave that night. $100 turned into $200 and then transformed into ripples of Gods love in this sometimes troubled world. Please pass on our thanks and appreciation to the donors whose faith made this amazing experience possible! Her 4 year old, “A” qualified for immediate admittance to our Pre-K program. We were very fortunate to have “A” in our program for the short time that he was with us. He was such an eager learner, so incredibly happy to come to school and see us every day, and a great example for our other students. It was truly a blessing to be around him! My co-worker and I wanted so badly to help this family! It was perfect timing when you told us about the family that donated the $100 bills! I thought the gift of letting them shop for food (any food they wanted!) would be a perfect way to use the $100. Well, “A” didn’t come to school last Monday and on Tuesday his mom came in to withdraw him, saying they were going to Sarah’s House, a shelter for women & children. I have been working with the PPW to find out how to go about getting a donation to a specific person at Sarah’s House. I will be dropping off a gift card to Walmart (since they are supplied meals at Sarah’s House) so that mom can buy some things that they need or want and also taking some fun snacks and things for the children. “A”’s mom seems to be trying very hard to make a good life for her kids. Please keep this little family in your prayers! p.s. The PPW extends her thanks to you, too! For my intentional act of kindness, I choose to honor animal shelters. We have a shelter dog and cat that have brought us so much joy over the years. I had been reflecting on these two animals so I knew where my $100.00 was needed. At my local YMCA they have an animal tree with pictures of cats, dogs, currently being housed at the SPCA in Annapolis. The animals are looking for donations to feed them and provide bedding and treats. All the food I purchased with my $100.00 plus our family monetary donation are now under the animal tree. In our family, the animals are just like our children. What a great experience this act of kindness has been. The cashier person at PetSmart was so touched by this story of the couple’s generosity, she cried. I invited her to join us one Sunday morning to participate in a worship service. I know all the dogs and cats will be eating well, soon! p.s. You should have seen our cart from PetSmart — it’s amazing what how much good $275 can do! My youngest daughter’s preschool started a drive to collect gently used purses to hand out to homeless women in Baltimore. They are also collecting items that these ladies can use to fill the purses with. I collected my purses and bought some supplies to donate. When I spoke with the director last week, she said that she had around 100 purses and not nearly enough supplies. This kind woman is taking her time each weekend to drive around Baltimore and personally hand the purses out! I knew right away that I would use this money to buy 100 items to donate. Things like soap, shampoo, maxi pads, antibacterial cloths, etc. I can’t even imagine what these people without homes go through, especially on a blistering cold day like today. I feel blessed to be able to contribute and hopefully make a small difference in their lives. I’ve been debating how to donate the money I got last week at the 8am service, and have spent more time than I’d like to admit poring over nonprofit ratings, trying to find something especially meaningful. This evening I came across a “Go Fund Me” posting on Facebook, soliciting support for a family from Myersville, MD who lost everything, including their pets, in a house fire yesterday. It moved me, and I matched the funds and donated $200.00 to help them, in the name of Severna Park United Methodist Church. This has been an eye-opening and soul-searching experience for me. There is such need in the world, and while my husband and I do donate to many organizations and causes, I don’t remember the last time I gave it so much thought. Thank you for injecting something so real and meaningful into this Advent season. The ripple effect will certainly be far-reaching and impactful, not only to the recipients of the donations, but also in the hearts to all who were privileged to take part. As a teenager, I once worked as a waitress and found it one of the toughest jobs I ever had. So I decided I wanted to give this money, along with a note, to a hardworking waitress. We often go to breakfast after church, and so today I decided that whoever our waitress/waiter was would get the envelope I had prepared. We knew a lot of the servers at the two places we most often go, and I just trusted that God would put us at the right table, the one with the person He wanted me to give my envelope to. I had placed the cash inside a Christmas card with a note that I had been asked to pass this money on as a blessing for someone, and that I had chosen her. I also said that I hoped that beyond the money, that she would be blessed by feeling the love of Christ though this gift all throughout this holiday season, and I thanked her for doing her job so well. I put it with the paid bill as we left the restaurant so I have no idea how it was received, but I hope that this young lady was both surprised and happy. I wrote her name on the envelope and I do hope she feels noticed, valued and at least a little special. I hope it made the rest of her shift a little easier. The funny thing though is that I spent most of the week searching for a new opportunity beyond the Angel Tree at church to purchase Christmas gifts for a child – I really wanted to find a child at a less fortunate area school that had expressed a need. Nothing specific presented itself and then I had the waitress idea, so I was all set to go with that. Then this morning, as I was checking Facebook before leaving for church, I found that opportunity I was looking for. A woman in our neighborhood had posted that there were just a few open slots for kids’ wish list items for a local school that she was organizing donations for. I looked at those and they were all less “exciting” things for older kids, things like clothes and shoes. All the fun toys for the young kids had been assigned. Well, I knew that these older kids needed things too, and I could help, so I signed up for a bunch of items on that list to provide. There are so many aspects of this effort that I am in awe of: of course the generous donation of the $10,000 to fund this is absolutely amazing, and I just wish I had thought of it!! That was why it was such an easy decision to match the original $100 with this money of our own. But what was the coolest to me was how I was on “high alert” all week, looking for people or opportunities to help. That was a great lesson, I think we should always be in that mode, always on the lookout for who God may place in our path, and for things He calls us to do. I am going to strive to be in that spirit more and more, to have eyes to see people’s needs more routinely, and to help in any way I can. And I am also going to look beyond the obvious kinds of need, because I do think I have a tendency to label need too neatly, and I think it’s bigger than that. I am praying that my vision is bigger and broader, and I can see people more as Jesus sees them. I am so grateful to belong to this church, to be part of a community that is so loving and giving. All of you make me a better person. Merry Christmas!! My wife and I added another $100 and acted as silent Santas at the lay-away department at Kmart. That was fun!! We used the $100 for a 7 year old boy who is struggling with inoperable optic nerve brain tumors. He lives with his single mom who asked for help this holiday season with getting a few gifts for her son. With winter fast approaching, Kevin’s wardrobe is limited since his mom has no income and they concentrate on making ends meet with purchasing supplements for Kevin. Since chemotherapy is not an option for Kevin, he uses dietary and other non-conventional holistic healing methods to prevent the tumor from growing. We purchased a pair of snow pants, gloves, and hat for him to be able to enjoy playing in the snow. He’ll also find a few other gifts under his Christmas tree this year, with the hopes of bringing him some holiday cheer. Our young daughters really enjoyed helping this young boy by using the $100 towards a good cause. Seeing them give to others is rewarding for all. We are blessed to have been able to help with the “Intentional Acts of Kindness” task and so thankful for the generous gift of love that the church donor offered to all. My wife, daughter, and I just started coming to Severna Park Methodist Church about 2 months ago. My wife and I always said we wanted to get back into the church (we haven’t been in a long time). The handful of times we came I honestly told my wife like I felt like the church spoke too much about money. It’s kind of funny how things work out because of this Intentional Acts of Kindness came about and the Church was giving us money to give to a noble cause! I thought and prayed about how I thought this money would be best spent. My aunt put a post on Facebook about how money you donate to certain causes actually goes directly to the cause. St. Jude’s Children Hospital was one of the programs where 100% of the money goes to children with cancer and helping pay there medical expenses. The next day I received a letter in the mail asking me to donate to St.Jude’s Children’s Hospital. I just put the donation in the mailbox tonight and feel this may help a child in need. Thank you for putting this Intentional Acts of Kindness Project together, we will see you Sunday! This lovely lady has had a very tough life, she and her brother were left as toddlers on their grandmother’s front porch in rural Kentucky with just a bag of a few of their belongings. They were raised by the grandmother. Later in life she married but, it was not a happy marriage and she was left alone again. They did have a son together but, he, too, was a major disappointment later in life, when he began to steal whatever he could from his mother. She did find a job that gave her a great deal of satisfaction and helped her pay the bills, She worked as a nursing assistant and would sit with dying people in their home or nursing homes. Due to some health issues and back problems, she had to stop working. Two weeks ago she developed pneumonia and went to the ER for help. They admitted her for observation and while she was there she had a major heart attack. Test revealed she had 90% blockage and required stints. During the procedure, they nicked the aorta and she had a major bleed that required another procedure. She is still in the hospital and hopes to be released later this week. Her unemployment check is her only source of income and it is less then $900.00 a month. The Doctors have advised her to apply for Disability and not return to work, but this will take a while. She lives alone in a small, run-down apartment in Cincinnati. She only has one relative that lives close by. She is feeling very lonely and has many concerns on how she will survive. My dear friends are leaving on Thursday to drive to Cincinnati to be with her when she is discharged and try to help get her back to health. They will be taking this gift of love to her. Please keep her in your prayers and share with whoever you can. I believe God will give her strength and help her through this very difficult time. I was driving along East-West, past Orphan Grain Train (ogt.org) as I’ve done countless times before. I stopped in to see what it was about, where I met Ron Phipps who gave me a tour. It was a busy day – volunteers sorting and packing items in boxes donated by McDonalds. They collect and ship supplies – clothing, tools, school materials, bikes, sewing machines, etc – to locations around the world, requested by pastors at those locations. Places such as India, China, and wherever disaster strikes in the US. I gave them my $100 and offered to help load the next container shipment on Jan 5 (10am) going to the Far East by ship. Many years ago, OGT started shipping grain from Nebraska overseas for orphan kids. Now they collect and ship a variety of things from many locations throughout the US. I decided to match the gift and pay it forward. I reviewed the Doctors Without Borders website and learned about the good work they are doing to save lives all over the world. I was moved by the many poor and suffering people (especially kids) you never see on the evening news, that really need help. $100 over there goes a long way to alleviate disease and malnutrition. Giving away $100 bills is not as easy as it sounds. But I know others will benefit who really need help. I am glad to participate. I gave the $100 bill to an employee at the company I work for. This gentleman married later in life (early 40’s), and for several years he and his wife struggled with infertility. Giving up hope, they adopted a daughter from Mexico. Lo and behold a few years later, they did have a child of their own, and now have a total of four young daughters. This co-worker (now in his early 60’s) is one of the hardest workers in the company and often spends his weekends doing side jobs. He and his family recently moved into their own home, and though he take pride in finally owning a house, the financial responsibility has been a bit draining. I know the monetary gift will bless them during this Christmas season. He was so appreciative and grateful for the gift. I am thankful to be part of a church that is so mission oriented and generous. I shared my hundred dollars with a friend who is facing many challenges: she has had open heart surgery, is dealing with a severely shattered foot and recently her grown son lost his job, separated from his wife and moved back in with her. She is also helping to raise her grandchild. She is one of those people who is always helping others whether it is driving them to a doctor’s appointment or just showing up as a friend. What a wonderful and kind project this is. Prayers to the givers of this act of kindness that made this possible. This weekend as we traveled to Pittsburgh for a family event, we stopped at Bob Evans to have breakfast and met Linda, our server. When we asked her, she told us that she was almost ready for Christmas. Linda shared with us that her family, including15 grandchildren would be visiting with her for Christmas and she told her children they would not be getting much for Christmas. After our meal, I approached Linda and told her that we had a tradition of giving during the holiday season and that we wanted to help make her holiday a little brighter. Linda gave me a tearful, big hug when I handed her the $100 bill and said it would make a big difference. My husband and I have decided that we are going to give $50 each to our young adult children (5 young adults, ages 26-18) with the same instructions. My family and I took two of the $100 envelopes. Our daughters were in worship the Sunday the Intentional Acts of Kindness mission was announced and they were SO excited to participate! When we got home from worship, we sat around our dining room table and talked about how we could be intentional with this great gift of love and generosity. We listed about 5 or 6 things, then picked two: First, we decided to go to a local grocery store, go into one of the checkout lines, and offer to pay for groceries for someone who really needed it. We prayed about this choice and sat with it for awhile. Then, the Holy Spirit nudged my husband one morning when he was on vacation from work. He and I heard sanitation workers/recycling crew on our street picking up leaves. He went to the window and watched them hard at work picking up hundreds of bags of leaves. He said to me, “They work really hard.” He sat down and thought for a minute. Then, he hopped up and said to me, “Oh! The $100!” He was so excited he flew out of the house and followed them down the street to catch them. He said when he got there, he called one of the workers over, explained what our church was doing, and gave him the $100. My husband said the worker laughed with both shock and delight, kept saying thank you and ran back to the truck to finish his work. Our second way to spend $100 actually is in southern New Jersey. My husband has gotten to know a family there, due to his work, really well. The mother is a single mother doing her best to make ends meet for her two children. She shared with my husband that she doesn’t really know what she believes and grew up not celebrating anything – birthdays, Christmas, Easter, other holidays, or weddings. As a result, her son has missed out on the joy and wonder of Christmas and the true meaning it holds. The woman’s son told my husband, “I guess I won’t get anything for Christmas because we don’t celebrate it.” As a family, we thought that the gift God gave us (through someone else’s generosity) would be a great way to show the woman’s son the love of Jesus, God’s extravagant grace, and the true meaning of Christmas. So, my husband is taking the $100 to purchase some much needed items (and fun things too!) for the woman’s son. Our church’s Intentional Acts of Kindness mission has also led to everyone in our family intentionally looking for kind ways to act each day to demonstrate God’s great grace and love. Recently, I had a dentist appointment. The dental hygienist and I were talking and she shared that her mother was diagnosed with stage 4 cancer. She shared her sadness, concern, and fear that her mother may not be well enough to attend her wedding next month. The hygienist also shared concern about her spiritual journey and members of her family who do not see the need in knowing God or attending worship. I talked with her and shared some of my own faith journey, and reassured her God holds it all and works everything for our good – no matter what it may look like. After a few minutes of silence, she said, “Thank you. Thank you for talking with me. 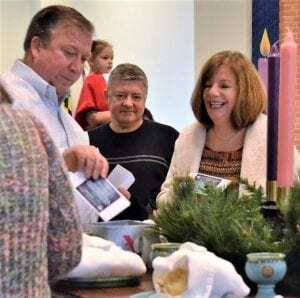 It made me feel better.” I was thankful to God that God used my witness and voice, in that moment, to bring some comfort and peace to her which is what the Advent and Christmas season is about. When we surrender to be Jesus in the flesh to others, we become God’s peace and God’s good will for all. For some time I have wanted to try to make fidget mats. I am using the $100 to purchase materials and notions to make several sample fidget mats, which I will then give to the church. I will include written directions and some kits with materials and notions for other sewers in our church to use. The fidget mats can be for adults with dementia or Alzheimer’s or for toddlers. I will probably start with adult mats. The Dorcas and Heartfriends UMW Circles are both crafty and may want to take over this project. Moms Connect may also have some interested sewers. I can think of senior members of our church who may enjoy these and our church has no dearth of toddlers! So far I have purchased zippers and grommets ($21), but need to get broadcloth or duck cloth (cotton cloth that has been washed and shrunk for strength) as well as Ultra Firm Pellon for filler. I will also use my own ribbon, Velcro, and fabrics from my quilting stash. [If Chris Dillard would stop using so much of my time, I could really get going on these! : ) Gotta love my music director!] Thanks to the donors for this awesome opportunity! I didn’t get one of the hundred dollar bills from church last week because they were all gone by the time I asked for one. But I decided to be part of the Intentional Acts of Kindness Project anyway and simply pay attention to the people and situations I encountered. On my way into the drug store yesterday, there was a young man begging for money to get something to eat. I stopped to talk with him and ask what his story was. He told me that his mother had kicked him out of the house and that his girlfriend, at home with their baby, had told him that she needed him to do something to help support their child or get out, too. I knew I had three options. I could simply tell him I would pray for him or I could give him the $10 bill in my pocket. OR I could give him the $100 bill that I happened to have in my wallet (a pretty rare thing, but I had just been to the bank two days before). I felt the nudge to be extravagant with grace and so chose option 3. When I gave it to him along with a blessing and short explanation, he was both stunned and speechless at first. Then he hugged me and thanked me several times before practically skipping into the drugstore to get something for the baby. I’m convinced that were it not for our Intentional Acts of Kindness Project, Options 1 or 2 more likely would have won out. I’m glad they didn’t. I have been eager to report how the $100 was used to bless a good friend of my mother’s who has been very sick since January. She was only recently diagnosed with a rare form of peripheral T-cell lymphoma and began chemotherapy on Monday. Her support system consists of friends, colleagues (she is a kindergarten teacher), and her son. Unfortunately she is no longer able to drive, and has requested long term disability, being unable to return to work this school year. Needless to say, this woman has endured many trials this year, thus my eagerness to bless her with the generous gift you spoke of on Sunday. I called my mom as soon as church was finished; she was eager to meet at Target that afternoon to put together a care package for her. We used the money to buy a new set of sheets, sweat pants, warm socks, tea, ginger ale, and soup. She has been mentioning needing new sheets because her night sweats are so severe that she is having to wash them daily. Her legs have swollen because of the enlarged lymph nodes, thus the need for some comfortable pants to wear. She doesn’t know Jesus. I believe God spoke into my heart when you presented this project to the church as an opportunity to tangibly reach her. You see, if I had used my own money to get these for her, she wouldn’t have accepted any of it…she would have insisted on paying me. She would only accept this because it was given as an act of kindness from someone anonymous. When my mom took all this to her, she said that a church paid for the supplies as an act of kindness. She was humbled; she made sure to let me know that she intends to pass along the kindness once she’s feeling better. People come to experience the love of Jesus in many ways. I have found kindness to be a bridge between talking about who Jesus is and actually seeing or feeling Jesus. This gift gave us the opportunity to show a friend who has suffered greatly, that the love of Christ exists for her, and that He cares enough to provide her with new sheets! I was humbled by the notion of this project when you spoke of it on Sunday. I’m so thankful I listened and acted on being a vessel of God’s love. What a wonderful Christmas gift this was. Thank you. As a professional fundraiser, I was blown away by the amazing $10,000 donation providing others with an opportunity to “give.” Working at Johns Hopkins, each and every day I see the struggle on the faces of parents that are dealing with sick children and family members. During the holidays, the Johns Hopkins Children’s Center (JHCC) hosts a Snowflake Station where individuals can donate gifts so that parents can “shop” within the hospital walls and not have to be too far from their children’s bedside. As a working mom, I know how tough it can be to find time to shop for all the holiday goodies. The thought of having to take care of a child who is sick in the hospital, manage a job, a household AND shop for the holidays, just makes it that much more important to support the JHCC Snowflake Station. As a result of the generous support of one of our SPUMC members, my daughters and I were able to spend the morning yesterday buying an array of toys to donate to the JHCC Snowflake Station. The look on the face of the staff when I dropped off the gifts this morning was priceless. As was the excitement my girls expressed when purchasing toys for these other children. As a family and Johns Hopkins employee, I am SO thankful for the generous $100 Be Intentional Gift. So, I took one and prayed about who He would like me to share it with. The Lord put on my heart a co-worker of mine who has been blindsided by her husband’s demand for a divorce after almost 30 years of marriage and the revelation that they are in deep deep debt. This woman is a woman of deep faith. I chose yesterday to give it to her with a note that explained the inspiration for the outreach. I also said that I felt the Lord wanting me to use it as a sign that He is hearing her prayers and the prayers of others on her behalf. She came to me this morning and shared with me that before she opened the card yesterday she had received an email from her attorney that things were worse than they had expected. She was so upset she had to leave school. She sat in the parking lot of the Safeway and cried and cried, feeling alone, desperate, confused, and scared. She remembered the envelope and opened it and read my message. She said a peace came over her. She saw the $100 bill (although much needed which I was unaware of her financial situation) was more a physical sign of God’s everlasting love and protection for her and her family. I took one of the envelopes with $100 in it to give away. I was excited about this project when you first announced it and thought it was a genius idea. I started thinking right away how I would use it. Turns out choosing was a lot harder than I thought. I can give my own money away easily but I felt a lot of responsibility giving away someone else’s. I toyed with so many different ideas then found myself obsessed with looking for someone deserving in my everyday errands. Ha ha I was distracted driving thinking should I pay someone’s bill? Should I buy something and give it away? I decided in a year where there has been so much division it seemed appropriate to donate to a person or group promoting community and doing it with love. Feeling focused on that I’m happy to report many people are doing wonderful meaningful work. Choosing was still difficult. In the end I chose to donate to the Mufindi Orphans project in Tanzania. It was recommended as needy and deserving by my niece who had worked for the Peace Corp and started in Tanzania. She knows the people involved from that experience. She was recently encouraging people to donate on social media so I asked a little more about the project. She told me they have done and continue to do amazing things. I also decided to match it and contributed the same amount to a local organization called Creating Communities started by Rob Levit. I have volunteered at his Arts Mentorship Academy held at Maryland Hall for several summers until my own work schedule conflicted. I can say firsthand that money donated to them is not wasted. Rob Levit’s program is unique and just what those kids who attend need. It is a very deserving group. Please thank the donors for the opportunity to be involved in this Kindness Project. I can’t wait to hear what others have done. I’m sure there will be many creative ideas. I was so inspired by the $100.00 bill program that I decided the first thing to do was to equal the $100.00 and give $200.00. This is such a SMALL thing to do, BUT, if all of us did the same the same, we’ve doubled our giving. I love this church. I am going to meet my recipient tomorrow morning, a recently blind fellow brother in Christ, my age, that needs our help. I asked our seven year old daughter if she wanted to get an envelope and participate in Intentional Acts of Kindness. She said yes. She was shocked that there was really a $100.00 bill in the envelope. We thought for a while to come up with a tangible way for our 7 year old to really experience the giving. We decided to pack “gift” bags for the homeless in Baltimore City. She packed 2 pairs of heavy socks, 7 sets of hand warmers, and McDonald’s gift cards into the bags. We were heading to Baltimore on Thursday evening so we stocked up and away we went. She was so excited when a man approached our car seeking change. She rolled down the window and called him over. “Here you go,” she said. He said, “Thank you, God bless you and have a good night.” She said, “You too!” As we pulled away she said to us, “This was the best night ever.” We are looking forward to giving out the rest of the bags. This very generous gift was inspiring and I truly appreciate to opportunity for the teaching moments it has provided us. We spent several days considering what we could do with our $100. Here’s what we decided to do. I purchased a Walmart gift card and I liked the idea so much that I purchased a second $100 gift card. I contacted the principal at Park Elementary School in Brooklyn Park. I shared our Intentional Acts of Kindness campaign with her. I asked her to use the gift cards to purchase gifts or food for several families or give the gift cards to two families. My husband and I attended that school and we know there is such great need in that community. We loved growing up there. The principal Sandy Blondell was so thrilled and grateful.She shared her concern about the unemployment, addiction, and housing issues in the community. She also grew up in Brooklyn Park so we had a great connection. Thank you and the very generous donor for the opportunity to give back to our old neighborhood. I just wanted to let you know that I gave the $100 “wonder initiative money” to a program where I teach at Arundel High School. I received the following e-mail and instantly thought the money would be put to good use for these students in need. I think this was a great idea to “pay it forward”! When I received the $100 from SPUMC to do something to help others I decided to see if I could help a homeless family. I contacted Dr. Pam Brown, the Executive Director of the AA County Partnership for Children, Youth and Families to see how I could do this. She passed on the information on 2 families who had an immediate need for money. One was a single mother with two daughters who had given up her home in another state and moved here to help her sister through a rough time only to be abused and left without a place to live. The second was a young woman who has been diagnosed with PTSD, having also been abused, and is now living with her daughter in their own place. They needed help with a security system for their apartment because of her diagnosis. I could not select which one so I sent $200 so they could each receive $100. I would like to thank the donors of the gift to SPUMC who inspired me and gave me the opportunity to have this very fulfilling experience. I am pleased to participate in the Intentional Acts of Kindness Project. Thanks for organizing this, and please extend my thanks to the donor who made this project possible. Yesterday happened to be a special giving day in the UMC, “Global Migration Sunday.” The plight of refugees and migrating peoples is a concern to me, especially given the current political environment. So I am using my $100, plus adding a matching gift of $100, to donate $200 to the Global Migration Sunday appeal. Today I presented the envelope with the $100 bill to “George”…he likes to be called The Dude. He has been living in his old car for several years in Cypress Creek Parking lot, Woods Church access drive and elsewhere in the area, like behind the Donut Shack. On occasion I have talked briefly with him and learned he is 59 and not a veteran. Woods Church helped him a couple of years ago to have his car inspected and licensed. Last winter I gave him a new blanket. George has public places he goes during the day to stay warm and clean up. Today he told me he appreciated the gift money because the heater fan in his car gave out and he was getting by on “solar power” and this would be a big help. There is more to his story and our relationship but this should give you a good idea how this gift went to a deserving individual in real need. I go out almost every day to pick up a salad at one of the grocery stores (Shoppers and Giant) near my office in Annapolis. Both serve very diverse neighborhoods with people of many ethnicities and senior citizens, as well as hire disabled employees. I see many of the same people each time I go and I believed that I would find someone that needed the money. As I began my search, I found that my decision making was more difficult than I thought it would be. I wanted to make sure that the $100 would make an impact and was really worried about making a mistake. I spoke to my wife about this yesterday and she quickly set me straight. She told me to pray about it and my path would be clear. Excellent advice and even though I knew that, I got wrapped up in the choice and forgot that the purpose was to show someone the love of Christ. As it happens all the time, prayer works in mysterious ways and as I headed to the Giant for yet another salad I saw a homeless gentleman near the entrance. He had a bed roll, a backpack, and wore a light winter jacket. Immediately I knew this was the person I needed to share the love of Christ with. I kept the $100 bill in the sealed envelope and headed over to talk to him. As I approached, he started to walk away but I managed to catch up to him and told him that I wanted him to take this envelope (no mention of the money inside) in the spirit of Christ and told him “God Bless You.” I shook his hand, which was weathered and cracked, gave him a hug, and told him to be safe. He had a curious look on his face, responded with a thank you, and headed toward the parking lot. I headed inside the Giant, and once inside, glanced back through the windows. I saw him opening the envelope, pause for what seemed a long time, and turned back toward the Giant. I did not stick around and headed to the salad bar, only guessing what must be going through his mind. I have no idea what he will do with the money and really do not care other than I hope it goes for nourishment and clothing but that is his choice. I already gave the $100 from church yesterday to a mother to use to buy Christmas presents for her children, who are students at the elementary school where I am the school nurse. We have many needy families here, including homeless families. We made one mom really, really happy!